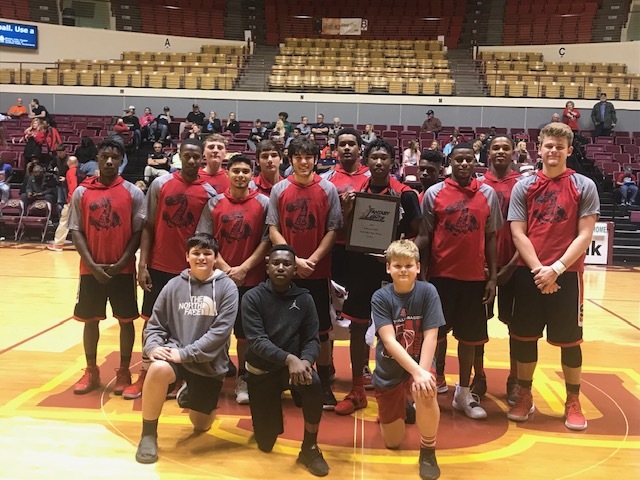 The Shelbyville Dragon Boys basketball team competed in the Wichita Fall Invitational Tournament on Nov. 24-25, 2018. The Dragons won 1st Place. The high school boys varsity basketball game scheduled against Tatum in Tatum has been canceled. There will be no game for the varsity boys on Friday 11-30-18. The students will deliver the donations to the Family Crisis Center of East Texas. To donate, bring items to the Human Sciences North Building, Room 115, on the university’s campus. For more information, contact Newquist at (936) 468-1082 or newquistj1@sfasu.edu. NACOGDOCHES, Texas – The Percussion Studio at Stephen F. Austin State University and its director, Dr. Brad Meyer, will host its 3rd annual interactive community performance of Phil Kline’s “Unsilent Night” starting at 6 p.m. Thursday, Dec. 6, at the Wright Music Building’s College Street entrance. Participants will enjoy an approximate 45-minute walk through the Pecan and Raguet streets neighborhoods north of SFA campus while listening to a recording of “Unsilent Night” that has been downloaded to play over a smart device connected to portable speakers or to a CD played over a boom box. • Download the app (https://itunes.apple.com/app/phil-klines-unsilent-night/id483509723?mt=8 or search “Phil Kline’s Unsilent Night” in your app store) and play it over a smart device by connecting it to a portable speaker. • Download one of the four mp3 tracks from http://unsilentnight.com/participate and burn it to a CD that can be played over a boom box. People can play the music from the app over their phone speaker, but this has a less-than-desirable sound quality and should only be used if the other options are not possible, Meyer said. Meyer further defined it as family friendly, with people often bringing their children with infants and toddlers in strollers. For more information, go to http://unsilentnight.com, visit www.finearts.sfasu.edu or call (936) 468-6407 or (888) 240-ARTS. The game against Carlisle has been moved to Saturday, December 1st, due to inclement weather conditions. The game will be in Hallsville at 2pm. THERE WILL BE NO EARLY RELEASE FRIDAY! There will be a Pep Rally at 2:30 Friday in the SEC!!!!! Please Share! Sanders’ book is a collection of interviews, literary memoirs and critical analyses of Kooser and his poetry. Sanders established himself as one of the first scholars on Kooser’s poetry when he began conducting studies and interviews in 1977. Sanders, a Nebraska native, feels a deep kinship to the state, its people, and its artists and writers. Sanders said, “I was born, raised and educated in Nebraska, so this award holds a special place in my heart. This is the second Nebraska Book Award Sanders has received. In 2016, Sanders’ edited collection, “A Sandhills Reader: Thirty Years of Great Writing from the Great Plains,” won in the anthology category. In addition to his recent honors, Sanders served as a primary consultant on a book that won the 2018 Nebraska Book Award in the anthology category. Edited by Daniel Simon, “Nebraska Poetry: A Sesquicentennial Anthology 1867-2017” assembled all significant poets associated with Nebraska and its literary legacy. Simon was instructed by Kooser and other poets to contact Sanders, as he well understands the Nebraska literary topic. Sanders personally knows many of the state’s poets and helped Simon contact them. “I am part of that writers’ community, and Daniel asked me to assist in his project because I could recommend poets and poems for the book,” Sanders said. 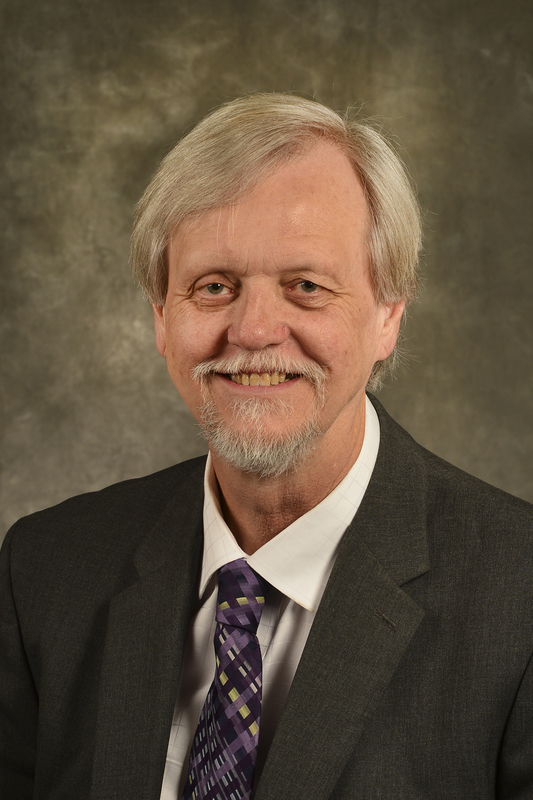 To learn more about Sanders’ work, contact him at sandersme1@sfasu.edu or (936) 468-2087. Dec. 21 – Early Release @ 1:00 p.m.
Bear Band Has Great Marching Season! - The Timpson High School Band has had an exciting marching season full of many great performances and awards! Most recently the band earned top honors at the NAMMB competition held at SFA on Saturday, November 3, and then performed at the UIL State Marching Band Championship at the Alamodome in San Antonio on November 6. At NAMMB (National Association of Military Marching Bands), the band earned a first division rating from all five judges, and received the coveted “Bobby Goff Superior Performance Award.” The Bear Band also received the “Colonel Joe Tom Haney Award” for First Place in Class 2A at the competition! Two days after winning NAMMB, the band boarded charter buses and headed to San Antonio for the UIL State Marching Championship. Timpson qualified for state by placing in the top three bands (second) at the UIL Area C contest held at Pine Tree on October 28. This is the second year in a row that Timpson has represented Area C at the state competition. In the preliminary round of the competition, Timpson placed 10th in the state. The Shelbyville girl's basketball game scheduled for Nov. 30 vs Newton has been Cancelled. NACOGDOCHES, Texas — A group of Stephen F. Austin State University students and faculty members recently presented research at the National Council of Teachers of English Convention in Houston along with students from the Nacogdoches Independent School District. The group shared insight on a variety of topics while also networking with industry professionals. SFA faculty members within the James I. Perkins College of Education who attended the conference included Drs. Chrissy Cross, assistant professor of secondary education and educational leadership; Heather Olson Beal, associate professor of secondary education and educational leadership; and Lauren Burrow, associate professor of elementary education. The faculty members conducted a session on Barrio Writers, a weeklong summer program that empowers teens through creative writing and literature. SFA has been offering Barrio Writers to the Nacogdoches community for four years, and many of this year’s Barrio Writers participants from NISD acted as co-presenters at the convention. During its session, the group hosted a smaller version of the Barrio Writers workshop where students performed spoken word poetry or read a poem, essay, open letter or short story. Additionally, SFA students Jacqueline Jackson and Claire Rumsey presented a session on how teachers can promote diverse books in their classrooms and communities year-round. The SFA Charter School also sent Nicole Burrow, a fourth-grade student, to the convention as a co-presenter for a poster session on Novel Engineering, a project blending literature and engineering. For more information about SFA’s James I. Perkins College of Education, visit coe.sfasu.edu. 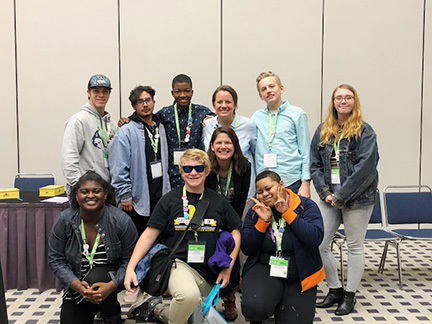 Cutline: A group of Stephen F. Austin State University students and faculty members recently presented research at the National Council of Teachers of English Convention in Houston along with students from the Nacogdoches Independent School District. NISD students (pictured) presented on their experiences with Barrio Writers, a weeklong summer program offered at SFA that focuses on literature and creative writing. The award-winning Amethyst Saxophone Quartet will perform at 7:30 p.m. Friday, Nov. 30, in Cole Concert Hall on the Stephen F. Austin State University campus. One of the premier American saxophone chamber ensembles, Amethyst Quartet includes Dr. Nathan Nabb, professor of saxophone in the SFA School of Music, along with Sean Hurlburt, Masahito Sugihara and Johnny Salinas. Amethyst will present works by David Maslanka, Carter Pann and Joel Love. A Dec. 2 fundraiser for the Stephen F. Austin State University School of Theatre has been canceled. “Christmas Chronicles,” originally planned by the Friends of Theatre and slated for 7 p.m. Sunday, Dec. 2, at Maklemore’s Ale-House & Bistro, is canceled. For questions, call the SFA Fine Arts Box Office at (936) 468-6407 or the School of Theatre office at (936) 468-4003. The Stephen F. Austin State University School of Art and the Friends of the Visual Arts will present a free, one-night screening of the documentary “Chicken People” at 7 p.m. Friday, Dec. 7, in The Cole Art Center @ The Old Opera House in downtown Nacogdoches. “Chicken People” is a funny and uplifting look at the world of show chickens and the people who love them. The choirs at Stephen F. Austin State University, along with many guest musicians, will present SFA’s traditional holiday concert at 7:30 p.m. Friday, Dec. 7, in W.M. Turner Auditorium on the university campus. The highly anticipated “Christmas Celebration” concert will feature “Lux Aeterna” (Light Eternal) by acclaimed contemporary composer Morten Lauridsen and other seasonal favorites. A Regular Meeting of the Board of Trustees of Center ISD will be held November 29, 2018, beginning at 12:00 PM in the F.L. Moffett Primary School Library 294 Stadium Drive Center, Texas. NACOGDOCHES, Texas – The Music Preparatory Division in the Stephen F. Austin State University School of Music will present its students performing in a number of upcoming fall recitals. Piano students of SFA music major instructors and students of Dr. Mario Ajero will perform at 4 p.m. Sunday, Dec. 2, in Music Recital Hall in the Tom and Peggy Wright Music Building on the SFA campus. A harp and saxophone recital will feature the students of Susanna Campbell and Nicholas Bissen at 6 p.m. Monday, Dec. 3, in the Music Recital Hall. Two performances will take place on Saturday, Dec. 8, beginning with the violin and cello students of Drs. Jennifer Dalmas and Evgeni Raychev at 1 p.m. in the Music Recital Hall. Beginning at 2 p.m. in the performance hall of the Music Prep Building, 3028 Raguet St., will be a guitar and ukulele recital by students of Chance Moore and Joseph Booth and a violin and viola recital by students of Alba Madrid. The Piney Woods Youth Orchestra, directed by Raychev, will perform at 7 p.m. Monday, Dec. 10, in Cole Concert Hall on the SFA campus. The SFA Young Violinists, featuring students of Brenda Josephsen, will perform at 6 p.m. Friday, Dec. 14, in the Music Recital Hall. A piano recital featuring the students of Linda Parr will be at 4 p.m. Saturday, Dec. 15, in the Music Recital Hall. The final fall recital will feature the piano students of Mary Cooper performing at 2:30 p.m. Sunday, Dec. 16, in the Music Recital Hall. All recitals are open to the public. Music Prep offers musical training on any level of proficiency. Overall musicianship is stressed in addition to the study of an instrument. Private music lessons are offered in piano, violin, viola, cello, double bass, harp, classical guitar, voice, trumpet, ukulele, clarinet, saxophone, composition and flute. Other instruction can be added upon request. In addition to the Piney Woods Youth Orchestra, Music Prep offers two adult piano classes, the Raguet Strings adult ensemble and Music Theory Adventures classes. Music Prep teaches all ages, from infants to 80 and beyond. Center Roughriders varsity basketball team defeated Whitehouse 45 - 42. 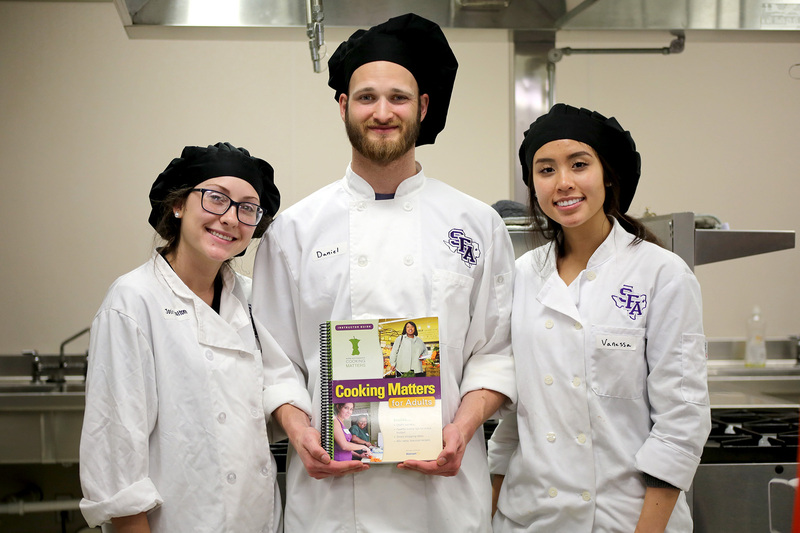 NACOGDOCHES, Texas — Stephen F. Austin State University students in the School of Human Sciences wrapped up their fourth annual Cooking Matters program with a graduation ceremony and game night. During this six-week collaborative course with the East Texas Food Bank, SFA students worked with community members to educate them on healthy eating habits and budgeting. SFA students helped administer the program to community members connected with the Helping Other People Eat organization. This year, 18 community members graduated from the program from among 20 participants. "This year has been the most successful based on participants who graduated," said Justin Pelham, food, nutrition and dietetics clinical instructor at SFA. "We look forward to future partnerships with the East Texas Food Bank in community nutrition to create transformative learning experiences for our students." During the final meeting, students and participants competed in a Jeopardy-style game and tasted homemade tortilla chips and black bean brownies. Participants also received a reusable bag, a chef apron, a flexible cutting board and various kitchen utensils based on prior meeting attendance. Time: Students have a scheduled time located here. The prices above are for proofs and time with the photographer. COPIES of photos without the watermark are an additional cost. Payments can be made with cash, credit, or check made out to Prestige Portraits. Money if they would like to purchase proofs. An email address not associated with the school. Outfits they plan on wearing for their casual photos. Students will have 15 minute appointments with their individual photographer. Student must be able to change into the different outfits within the time frame. Casual outfits must be school appropriate. If the student would like to wear a piece of clothing from a group on campus (athletics, spirit, band, culinary, etc. ), the student must borrow the items in advance. Students may not leave their appointment to track down items. Plan ahead. Students may bring items that reflect their hobbies for their photo (guitar, golf clubs, basketball, etc.). Please bring these items to the gym when you arrive to school. Items may be picked up after school on the 29th and at lunch on the 30th. Senior retakes are on January 17, 2019. Yearbooks presales are happening NOW. Books are $45. Purchase online at balfour.com or in room 302 with cash, credit or check made out to CHS Yearbook. Payment plans are available. 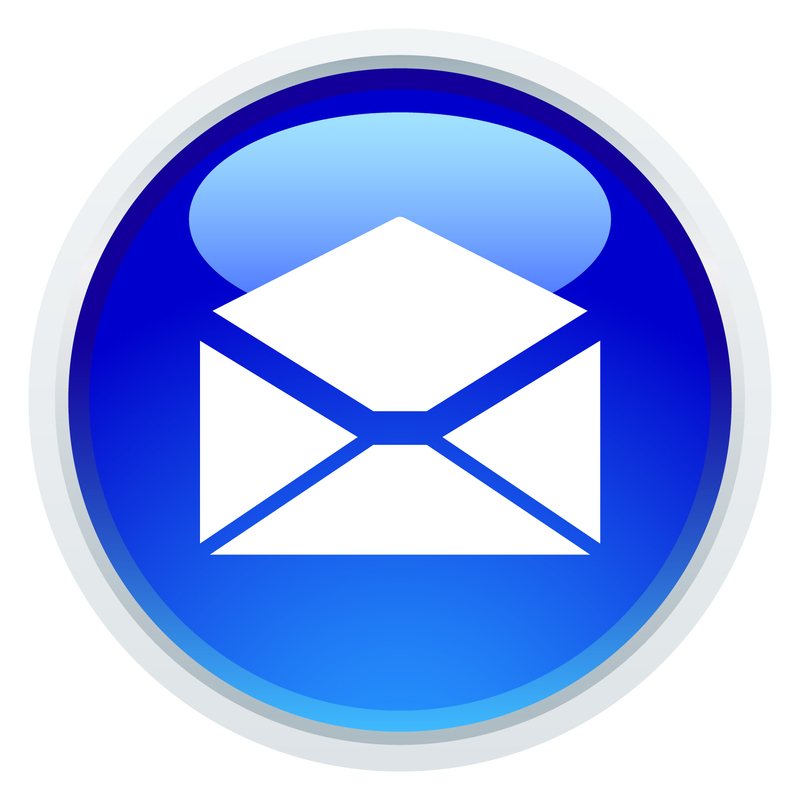 A folder containing the pdf version of this email and additional information on package options can be found here. NACOGDOCHES, Texas – A Dec. 2 fundraiser for the Stephen F. Austin State University School of Theatre has been canceled. "Christmas Chronicles," originally planned by the Friends of Theatre and slated for 7 p.m. Sunday, Dec. 2, at Maklemore's Ale-House & Bistro, is canceled. 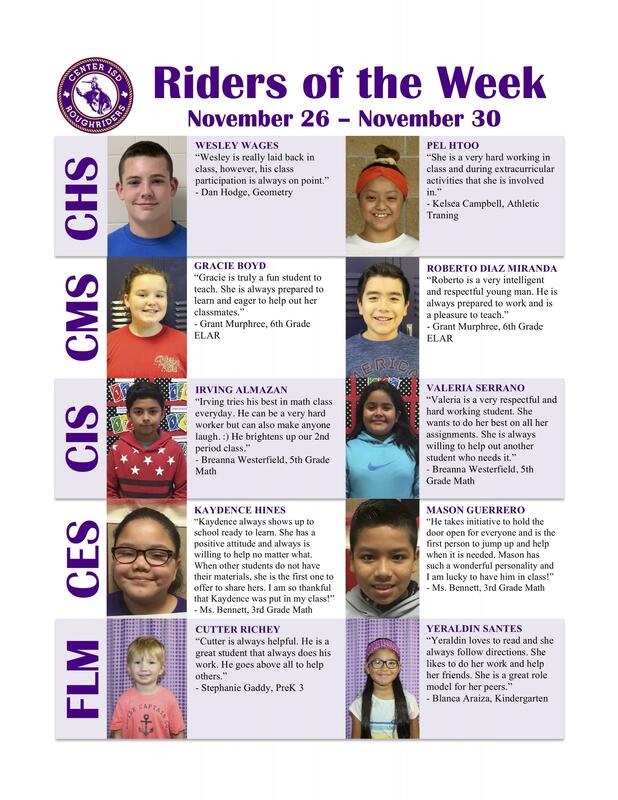 S. W. Carter Elementary School students will compete at Shelbyville in the District 22AA South Zone Elementary Academic UIL Meet on December 4th and 6th. Schools competing include San Augustine, Shelbyville and Woden. Coaches: Tonya Fenton (Dictionary Skills 5, Spelling 4), Kelly McDaniel (Creative Writing), Karen Taylor (Maps, Graphs & Charts 5), NaKeisha Swindle (Art Smart 4/5), Chalee Miller (Ready Writing 3), Stephanie Bass (Number Sense 4, Number Sense 5), Cassie Jernigan (Oral Reading 4, Oral Reading 5), Shannon Bohannon (Ready Writing 4, Ready Writing 5, Spelling 5), Pam Jamison (Listening 5, Social Studies 5, Music Memory 5), Jennifer Sonmor (Spelling 3), Tori Windham (Music Memory 3/4) and Beth Harrington (Storytelling 2, Storytelling 3). Shelbyville Middle School students will compete at Shelbyville in the District 22AA South Zone Middle School Academic UIL Meet on December 4th and 6th. Schools competing include San Augustine, Shelbyville and Woden. The Tenaha Tigers will take on the Carlisle Indians Friday, November 30th at the Hallsville ISD Bobcat Stadium. Kickoff at 7 pm! Tickets at the gate, adults $7 and Students $5. The district, Senior Citizens, and THSCA passes will be accepted. Tenaha will be the Visitors. 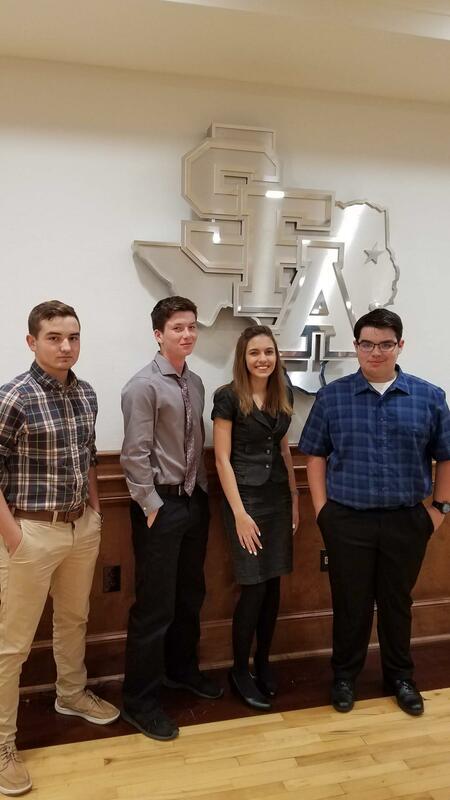 On November 13, Shelbyville students, Hagan Crumpton, Zack Clark, Emily Brixey, and Dawson Jackson traveled to Stephen F. Austin State University to compete in the UIL regional contest for Congressional Debate. UIL describes the contest as, “Congressional Debate is a mock legislative assembly competition where students draft bills and resolutions, which they and their peers later debate and vote to pass into law.” Hagan Crumpton placed 5th and Emily Brixey placed 3rd , qualifying for the state contest held in Austin, TX in January. 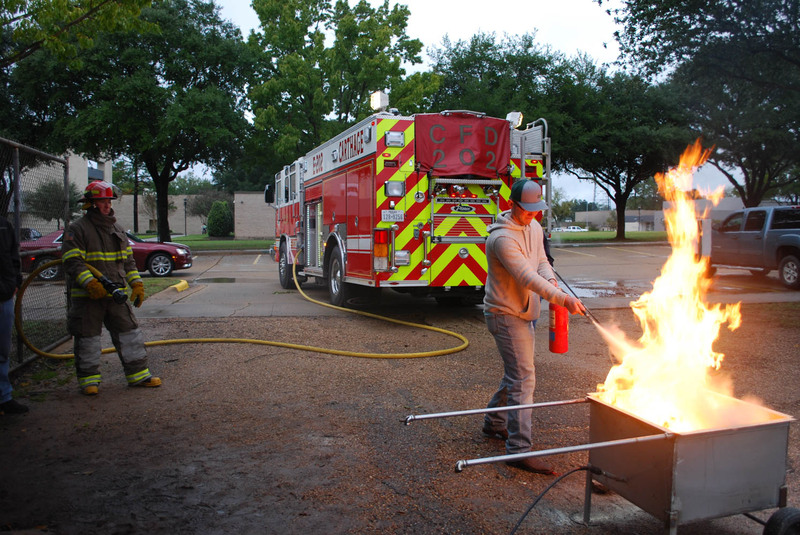 Students in the Panola College School of Energy participated in fire safety training provided by the Carthage Fire Department and Fire and Safety Equipment on Monday, Nov. 12. The training was funded by a grant from the Panola College Foundation. 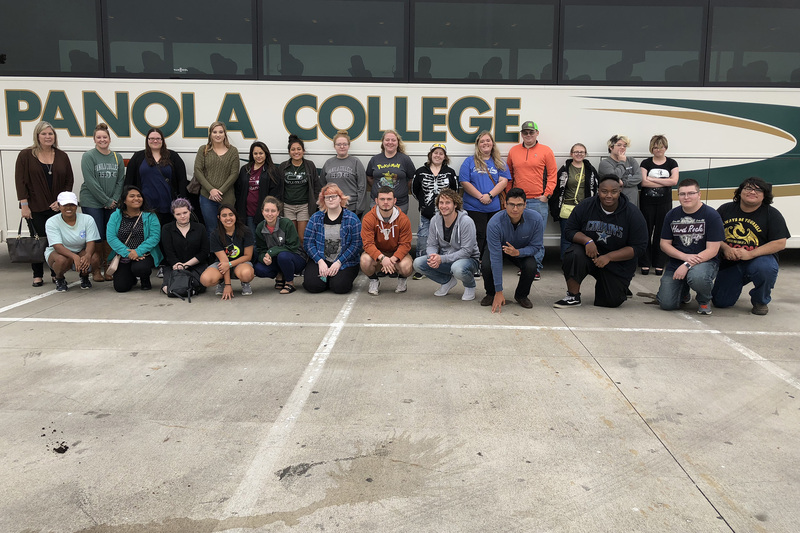 The training introduced students in Panola College’s ENER 1375, Introduction to Mechanical Engines class to the safety procedures required in the event of a fire emergency. The Carthage Fire Department met with the students in the College Petroleum Lab, then the group moved outside to practice using fire extinguishers to put out a real fire under the supervision of trained fire fighters. The grant covered the cost of the training system used by Fire and Safety Equipment. The company offered the system at a discounted rate to assist the students. Pace said student response was excellent and the hands-on training enhanced the classroom instruction. “Our industry contacts have continued to support the College’s efforts to provide up-to-the-minute training to prepare our students for their careers in technical fields,” he said. Students who completed the fire safety training included Clinton Bray, Marshall; Charles Felix, Nigeria; Bradford Fisher, Liberty; Evan Green, Lufkin; Blake Griffin, Center; Kase Hooper, Center; Tomas Martinez, Waskom; Michael McCammond, Pelican, La. ; Edward Oden, DeBerry; Braden Russell, Carthage; Nick Sewell, Dallas, Chad Storer, Henderson, and Daylon Swearingen, Piffard, N.Y. 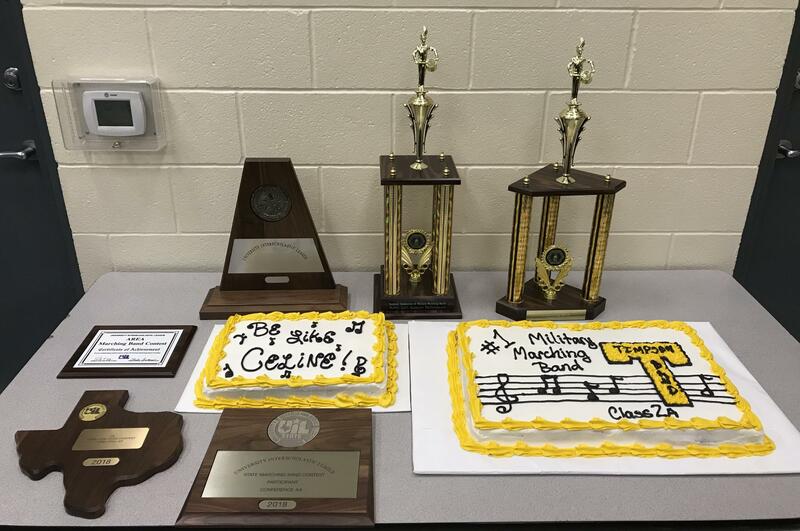 The Timpson High School Band has had an exciting marching season full of many great performances and awards! 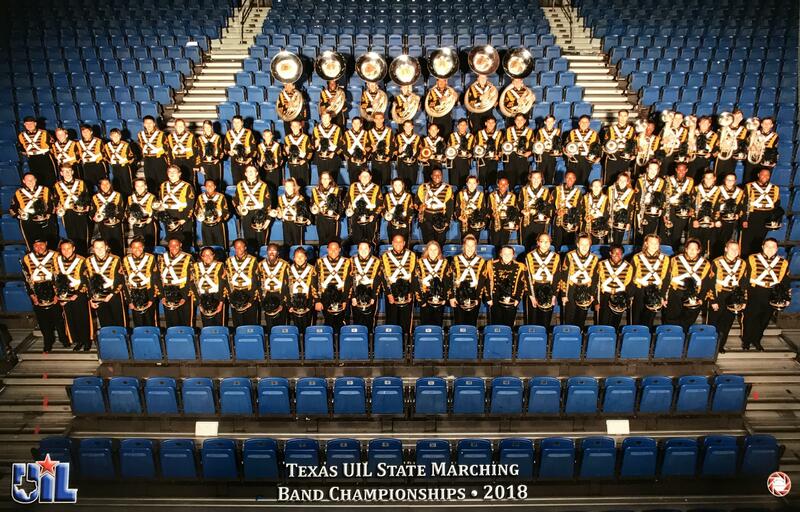 Most recently the band earned top honors at the NAMMB competition held at SFA on Saturday, November 3, and then performed at the UIL State Marching Band Championship at the Alamodome in San Antonio on November 6. Congratulations Shelbyville ISD Middle School/Elem GT Students! 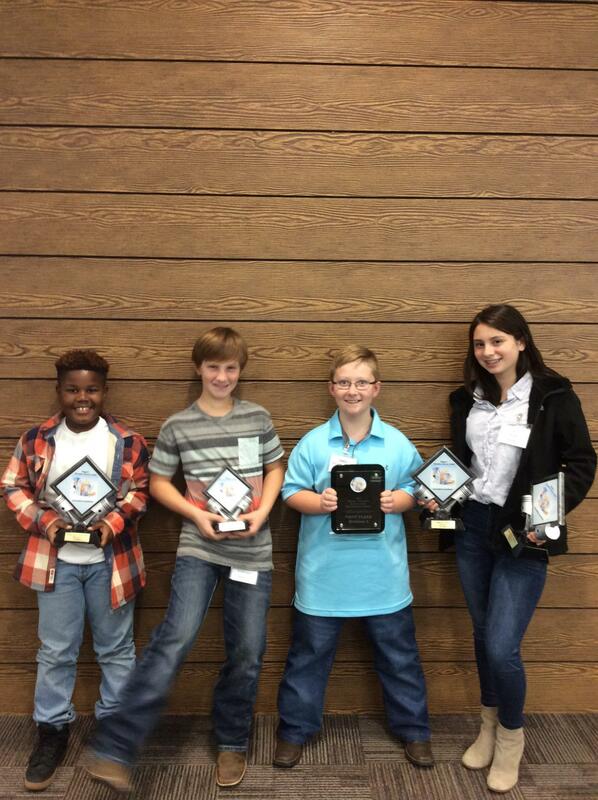 On November 15, Jayvion Barnes, Gaylon Harrison, Eddie Turk, and Ava Silva traveled to Kilgore to compete in the Region 7 Gifted and Talented Innovation Invention Fair. Gaylon Harrison was awarded 2nd place in innovative design for his robotic pencil, Eddie Turk received 1st place for best prototype and was the top prize for first overall for his right-angle air dispenser, and Ava Silva was awarded first place for her research notebook and first place in innovative display board for her OAP app. Jayvion Barnes presented a creative new sports drink. The Shelbyville G/T sponsor is Kylie Smith. Angelina College Presents "Holiday, Hope & Honor"
LUFKIN, TEXAS, Nov. 13, 2018 – Angelina College will host the fifth annual “Holiday, Hope and Honor” concert Nov. 29 at 7:30 p.m. in Temple Theater. The concert features the AC Chorale and the East Texas Praise Symphony. Tickets are $5 for adults and $4 for seniors, students and children. 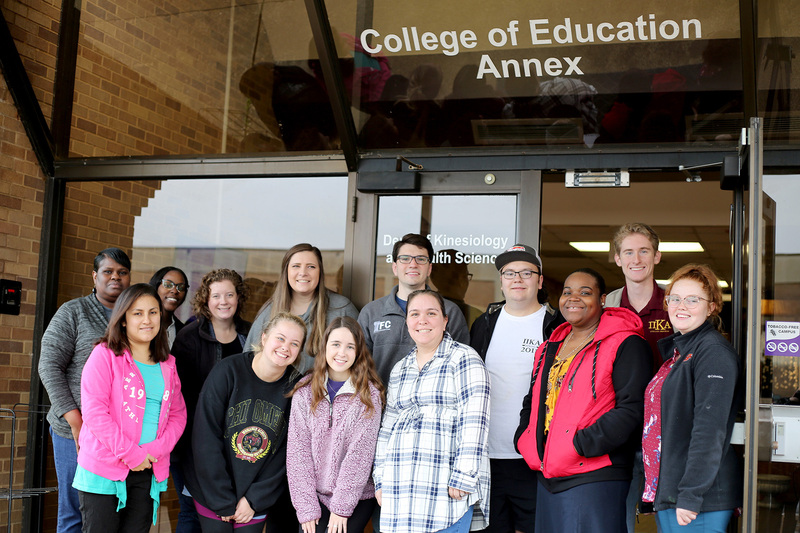 AC students performing include Nicholos Trusclair, Caitlyn Hutson and Alexandra Diosdado, all of Lufkin; Justin Birdwell of Alto, Quavious Johnson of Conroe, Erin Wise of Jasper, Kari Naumann of Huntington, Robyn Adams of Nacogdoches, and Courtney Burch of Pineland. AC employees performing are Dr. Karen McBee, Cheryl Sims, Dr. Cynthia Casparis and Bryan Compton. AC Chorale alumni performing are Haley Holcombe, Lachelle Thompson, Micah Shaffer, Joshua Robinson, Colin Wise, Ben Reynolds, Shelby Brown, Kimberly Noble, Martha Bailey, Jessica Reynolds and Sarah Jackson. Others performers include Karen Greer, Tammy Oliver, Hannah Young, Judy McKinney, Sarah Shaffer, Lamar Casparis, Joe Jones, Billy Forrest, Ron Rawls, Clif Layton, David Young, Jonathan Hammond, Karl McKinney, Dr. Sid Roberts, Randy Nichols and Jordan Dietz. The East Texas Praise Symphony includes Lori Letney, Evelyn Walker, Malinda Compton, Tracy Murray, Amanda Burns, Jo Tucker, Rhonda Stephenson, Walter Bates, Steve McClean, Karen Mitchell, Ernie Murray, Corrie Bird, Scott Williams, Steven Brown, Mark Crager, Ricky Gay, LaVan Watts, Melvin Eckman, Jimmy Battle, Laura Treadaway, Lee Miller, Mark Saldana, Dr. Karen McBee, Brenda Josephsen, Ana Watts, Dianna Smith, Sheila Hill, Carole Deptula, Alison Wier, Jan DeVries, Amanda Burns and Beth Wilbanks. Accompanists are Dr. Karen McBee, Dr. Sid Roberts and Beckie Compton. For more information about this event, call the Temple Theater box office at (936) 633-5454, 11 a.m. until 5 p.m., Monday through Friday. The Cole Art Center @ The Old Opera House will host a holiday exhibition that provides a glimpse into the celebrations of Christmas from bygone eras. The Christmas display, which will show Dec. 1 through Dec. 30, includes vintage and antique ornaments, decorations, dolls and toys from days gone by. Admission to exhibitions is free. SFA School of Art’s historic downtown gallery, The Cole Art Center is located at 329 E. Main St. For more information, call (936) 468-1131. The Contemporary Ensemble at Stephen F. Austin State University will perform a rhythm and blues concert at 7:30 p.m. Saturday, Dec. 1, in the Music Recital Hall on the SFA campus. Among the selection highlights are “My Girl” by the Temptations; “September” by Earth, Wind & Fire; “Higher Ground” by Stevie Wonder; “Smooth Operator” by Sade; “He Wasn't Man Enough” by Toni Braxton; and “Good Man” by Raphael Saadiq. The Stephen F. Austin State University School of Theatre and Friends of Theatre will host a fundraiser to benefit theatre students at 7 p.m. Sunday, Dec. 2, at Maklemore’s Ale-House & Bistro. 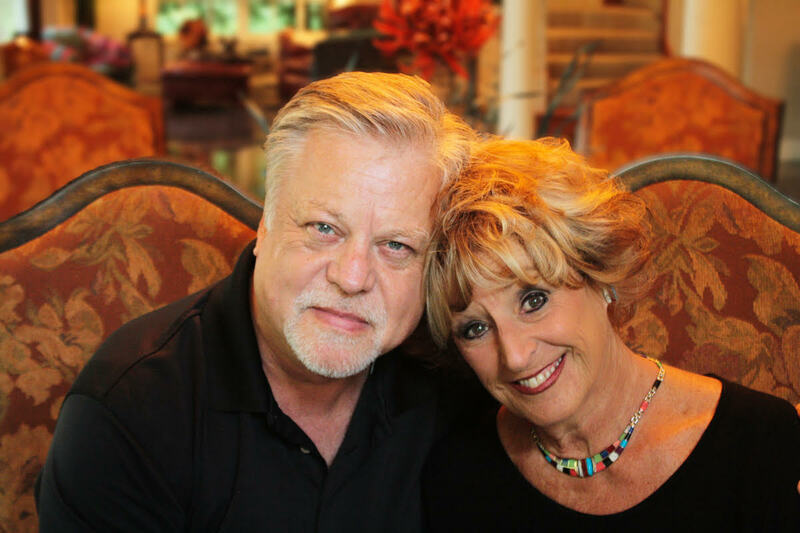 “Christmas Chronicles,” a program of sentimental songs and stories, features local talents and beloved performers Brad Maule and Rhonda Plymate Simmons. In addition to the holiday-themed entertainment, the audience will be treated to a full meal that includes a dinner entree, drink and dessert. Tickets for “Christmas Chronicles” are $50 per person. For tickets or more information, call the SFA Fine Arts Box Office at (936) 468-6407 or visit www.finearts.sfasu.edu. The Percussion Studio at Stephen F. Austin State University and its director, Dr. Brad Meyer, will host its 3rd annual interactive community performance of Phil Kline’s “Unsilent Night” starting at 6 p.m. Thursday, Dec. 6, between the Wright Music Building and The Bike Shop on College Street. 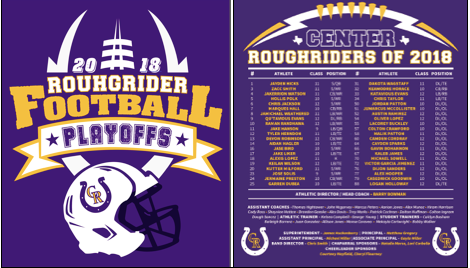 If you can't be there, join the Roughrider Radio team for the Riders' first-round playoff game this Friday night. Pre-game at 7:00. Special guests include players CJ Goodwin & Gavin Bohanon and cheerleaders Olivia Johnson & Cheyenne Byrnes. If you're driving to Woodville, tune in to get ready for the game. Halftime -- special guest Coach John McGarvey. We'll also share reflections from listeners about their days in their own high school band. Postgame -- live from the field. On Radios, tune to 930 am. On desktops and laptops, log on to cbc-radio.com and click KDET. On phones, download the free "tune-in app" and search for KDET. NACOGDOCHES, Texas — Stephen F. Austin State University’s Beef Research Center barn was destroyed in a fire that occurred early on the morning of Wednesday, Nov. 14. The Beef Farm is a part of SFA’s 726-acre Walter C. Todd Agricultural Research Center, and it is an integral part of the learning experience for SFA’s agriculture students. Friends and alumni who wish to donate funds to aid in the recovery of the facility and its contents may contribute in a variety of ways. To donate online, visit www.sfasu.edu/give. Select “other,” specify “Beef Farm” and follow the designated steps to complete the donation. Checks made payable to the SFA Office of Development also may be sent to P.O. Box 6092-SFA Station, Nacogdoches, Texas, 75962. Please include a note stating the contribution is for the SFA Beef Farm. Donors also may call the SFA Office of Development at (936) 468-5406 to make a gift by phone. Once again, please designate the donation is intended for the SFA Beef Farm. For any inquiries regarding other ways to help, contact Dr. Joey Bray, chair of the SFA Department of Agriculture, at (936) 468-3705 or Dr. Erin Brown, professor of animal science, at (936) 468-3705. Tenaha Masonic Lodge members, Jay Wilson and Jerry Agnew, presented members of the Tenaha first grade class with their very own Fantastic Teeth Dental Kits. Tenaha ISD Physical Education teacher, Tammy Hamiliton, demonstrated good brushing and flossing techniques as well as teaching students the importance of good dental hygiene. First graders learned that brushing your teeth properly at least 2 times a day for 2 minutes is very important. They also learned that brushing your tongue can get rid of germs that cause bad breath. The first graders were excited to celebrate how important it is to take care of you fantastic teeth! 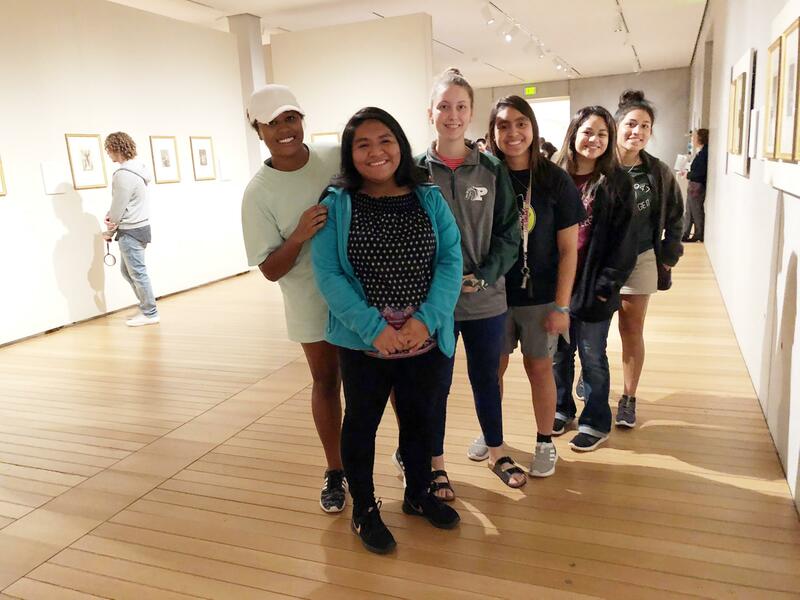 Art, Spanish, communication and humanities students from Panola College visited the Fort Worth Cultural District on Wednesday, Nov. 7, thanks to a grant from the Panola College Foundation. The cultural district encompasses the Kimbell Art Museum, the Modern Art Museum of Worth, the Fort Worth Museum of Science and History, the Amon Carpenter Museum of American Art and the National Cowgirl Museum and Hall of Fame. Participating students included Jade Allen, Malcolm Bell, Madison Buck, Kacie Caserta, Loren Caserta, Brandon Castillo, Drew Diverdi, Julianne Edge, Dulce Gonzalez, Maricruz Gonzalez, Sarah Hooten, Kailey Isbell, Shelby Kite, Sarah Kushner, Lucero Luna, Brandon Medrano, Erin Phillips, Morgan Ray, Serena Rascoe, Yareli Salinas, Aubrey Thomas, Clint Walker, Aaron Williams, and Evan Yount. Panola College invites you to “Cookies and Cocoa with Santa” at Panola College on Wednesday, November 28 from 4 to 7 p.m. Santa will make a special trip from the North Pole to be on hand to greet children and adults alike in the foyer of the Charles C. Matthews Foundation Student Center to kick off the Spirit of Christmas. 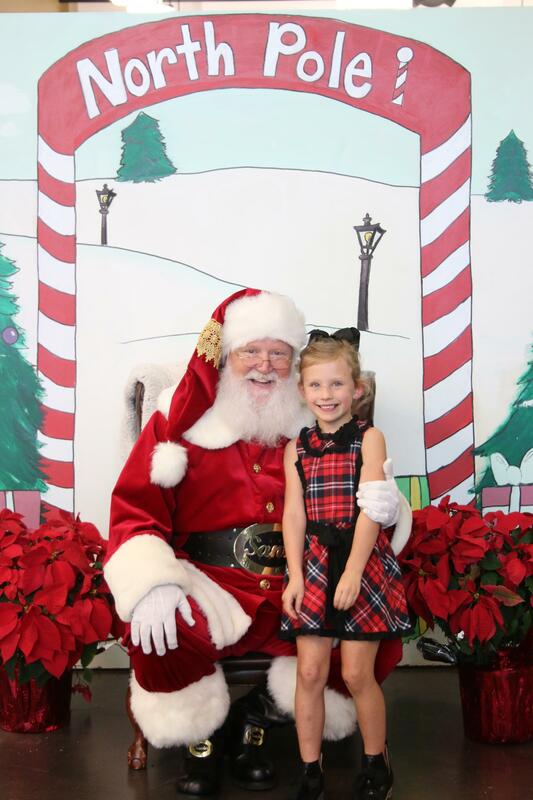 KTBS 3 Meteorologist will accompany Santa and will do the weather forecast live from Panola College every half hour from 4 p.m. to 7 p.m. For the three-hour visit, Santa will be available to hear children’s Christmas wish lists and to pose for photos. Photos will be available on the Panola College Facebook page, or parents are welcome to take their own photos that evening. Complimentary cookies and cocoa will be available. Shelbyville students on all campus' recently held a food drive. They collected a total 2,426 pounds of non-perishable food items to be donated to Shelby County Outreach Ministries. We wish everyone a Happy Thanksgiving!! NACOGDOCHES, Texas – The Cole Art Center @ The Old Opera House, Stephen F. Austin State University’s historic downtown gallery, will be open during a portion of the Thanksgiving holiday weekend, gallery officials have announced. Cole Art Center will be closed Tuesday, Wednesday and Thursday, Nov. 20 through 22. The gallery will be open during regular hours Friday through Sunday, Nov. 23 through 25. Exhibitions currently showing feature artwork by Kymia Nawabi and the SFA School of Art’s biennial exhibition of jewelry and metalwork. “Kymia Nawabi: Not for Long, My Forlorn” features a series of large-scale drawings that “acted as meditations on life and death channeled through ravenous, otherworldly beings and animals that inhabit a purgatory-like space,” according to the artist. An exhibition reception is scheduled for 6 to 8 p.m. Thursday, Nov. 29. Works selected for inclusion in the 10th annual Art Metals/Jewelry Competition and Exhibition can be seen in the upstairs Reavley Gallery. A vintage Christmas display featuring antique ornaments, decorations, dolls and toys of bygone eras will be added to the exhibitions Dec. 1 through 30. Regular gallery hours are from 12:30 to 5 p.m. Tuesday through Friday, from 10 a.m. to 5 p.m. Saturday and from 1 to 4 p.m. Sunday. The exhibitions are free and open to the public and are sponsored in part by the SFA Friends of the Visual Arts, William Arscott, Nacogdoches Junior Forum and The Flower Shop. The Cole Art Center is located at 329 E. Main St. For additional information, call (936) 468-1131. NACOGDOCHES, Texas – The Stephen F. Austin State University School of Theatre and Friends of Theatre will host a fundraiser to benefit theatre students at 7 p.m. Sunday, Dec. 2, at Maklemore’s Ale-House & Bistro. “Christmas Chronicles,” a program of sentimental songs and stories, features local talents and beloved performers Brad Maule and Rhonda Plymate Simmons. In addition to the holiday-themed entertainment, the audience will be treated to a full meal that includes a dinner entree, drink and dessert, according to Cleo House Jr., director of the SFA School of Theatre. “Christmas Chronicles” was originally conceived by Dr. Alan Nielsen, professor emeritus in the School of Theatre, who died in March of this year. Nielsen directed 25 productions at SFA, from “Lovers and Other Strangers” in 1991 to “She Stoops to Conquer” in 2011, when he retired. Nielsen created the traveling musical troupe The Original Cast and both composed and produced their shows throughout his years at SFA. Maule is a faculty member of the schools of Theatre and Art at SFA. Before returning to his alma mater in Nacogdoches, he spent 22 years as a star of television’s "General Hospital,” earning two Daytime Emmy nominations for his acting, and as a guest star on dozens of primetime series. He is well known in Deep East Texas for his television and commercial appearances and his support of countless local charity events and businesses. Simmons was a professional actor and singer in Dallas and New York City for several years before coming to Nacogdoches to start a family, open a business, and earn a master’s degree in theatre at SFA. As a student here, her roles included Mama Rose in “Gypsy” and Portia in “The Merchant of Venice.” She later appeared with SFA faculty and staff members in “Murder at the Howard Johnson’s” and later in the Summer Repertory Theatre production of “The Beauty Queen of Leenane.” She is also owner of Express Employment Professionals serving Nacogdoches and Lufkin. Simmons and Maule acted together in the 2015 SFA presentation of “August: Osage County” and hosted a reading of A.R. Gurney’s “Love Letters” in the fall of 2016. The Friends of Theatre is the local community support organization for SFA’s School of Theatre. Generous Nacogdoches community members contribute and raise funds for scholarships, awards and other projects that benefit theatre students and the school’s theatre productions. Simmons is the longtime president of the Friends of Theatre. NACOGDOCHES, Texas – A community sing-along of George Frideric Handel’s “Messiah” will raise funds for the A Cappella Choir at Stephen F. Austin State University to travel to Europe in 2020. The community event, with guest conductors, organist, pianist and soloists, and featuring the audience and SFA A Cappella Choir as the chorus, is at 7:30 p.m. Monday, Nov. 26, in Cole Concert Hall on the SFA campus. The fundraiser is designed to help defray the costs of the choir’s 2020 Italy tour, according to Dr. Michael Murphy, director of choral activities in the SFA School of Music. The program will feature guest artists Dr. Ron Anderson, Tommy Butler, Dr. Debbie Dalton, Dr. Tod Fish, Jacob Rivas, André Simon, Mary Turner and Murphy as conductors; Dr. Thomas Nixon, pianist; Greg Simmons, organist; and Megan Bucher, E.J. Grayson, Michael Nanney, Grant Peterson, Nathan Ponder, Summer Price and Viveca Richards, soloists. Tickets are $15 adults, $10 senior citizens, $5 students and youth. For tickets or more information, call the SFA Fine Arts Box Office at (936) 468-6407 or visit www.finearts.sfasu.edu. The Shelbyville Band Boosters are selling Pecans this Holiday season. We are selling 1 lb bags for $13.75 each. If you would like to purchase some, please contact a Band Booster or message me. Call or text me at (936)572-3507. Counselor’s Corner - The Austin Bank scholarship application has been added to the high school counselor link on the school website. The application must be submitted by March 1, 2019, but it is never too early to start the process! 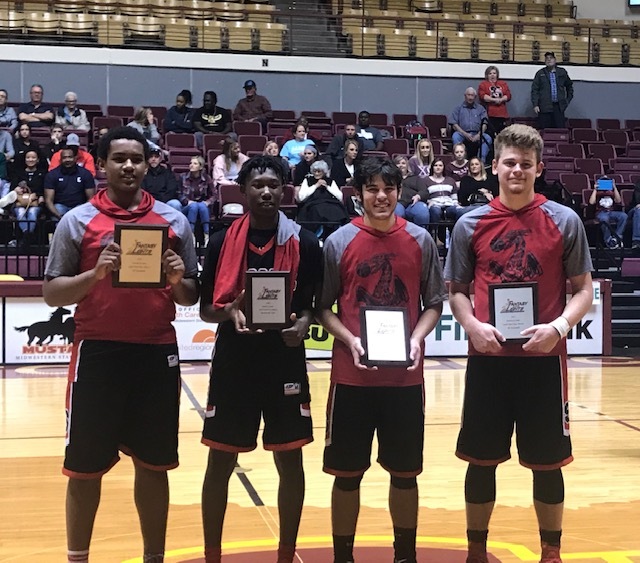 TLB Basketball - Friday’s game against Carthage will be here beginning at 4pm in the Event Center – Varsity only – JV is playing in the Central Heights Tournament Thursday and Saturday. Bear Football – Bears Bi-District play vs. San Augustine Wolves Friday night in Henderson at Lion Stadium at 7:30 p.m.! Go Bears!!!! 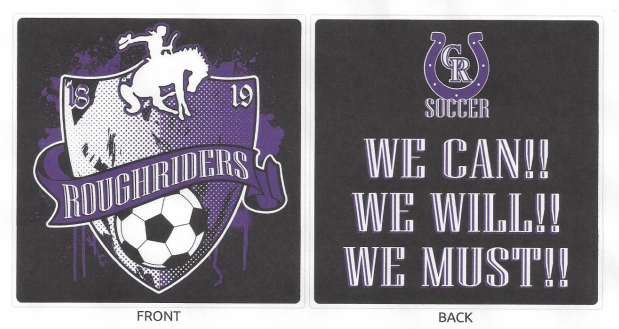 Orders due December 13 to Athletic Office. Pick-up December 22. A community sing-along of George Frideric Handel’s “Messiah” will raise funds for the A Cappella Choir at Stephen F. Austin State University to travel to Europe in 2020. A reception for artist Kymia Nawabi whose work is showing at The Cole Art Center @ The Old Opera House through the end of the year is planned for 6 to 8 p.m. Thursday, Nov. 29, at the art center in downtown Nacogdoches. “Kymia Nawabi: Not for Long, My Forlorn” features a series of large-scale drawings that “acted as meditations on life and death channeled through ravenous, otherworldly beings and animals that inhabit a purgatory-like space,” according to the artist. The Swingin’ Axes and Swingin’ Aces jazz bands at Stephen F. Austin State University will perform the music of Duke Ellington, Oliver Nelson, Sammy Nestico, Thelonius Monk and other jazz artists when the student ensembles perform at 7:30 p.m. Thursday Nov. 29, in W.M. Turner Auditorium on the SFA campus. Guest saxophonist Carlos Casso will perform with the Swingin’ Axes on Ellington’s “In a Sentimental Mood,” arranged by Mike Tomaro, and “Do Nothin’ ’Til You Hear From Me,” arranged by Tommy Newsom. The College of Fine Arts at Stephen F. Austin State University will present Dailey & Vincent’s brand new holiday concert, “A Springer Mountain Farms Christmas,” at 7:30 p.m. Tuesday, Dec. 11, in W.M. Turner Auditorium on the SFA campus. With five Grammy awards between them, this bluegrass duo is nationally known from their series on RFD-TV and their PBS special. This University Series performance is sponsored by part by Commercial Bank of Texas. Single event ticket prices are $25 for adults, $20 for seniors, $12.50 for SFA faculty and staff and $10 for non-SFA students/youth. Tickets for SFA students are $3. For more information, visit finearts.sfasu.edu, stop by the Box Office in Room 211 of the Griffith Fine Arts Building, or call (936) 468-6407 or (888) 240-ARTS. 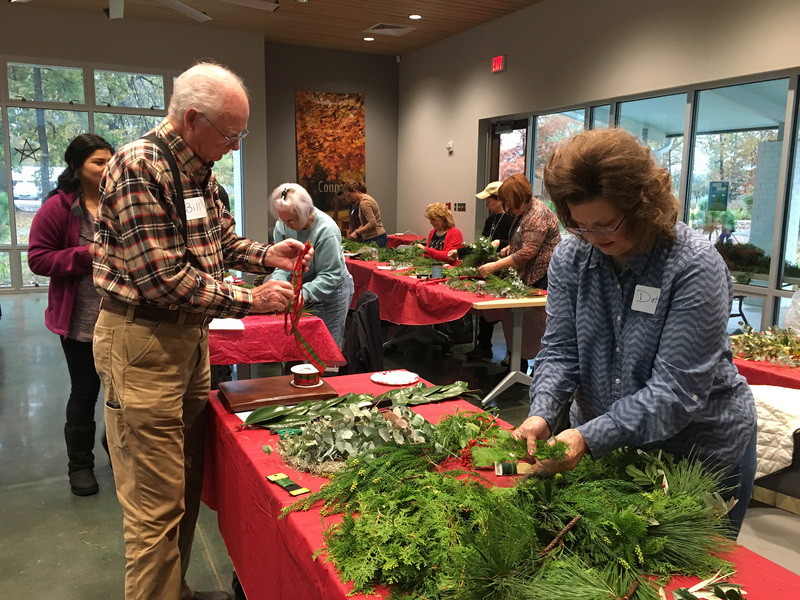 NACOGDOCHES, Texas — The SFA Gardens will host a garden seminar, “Deck the Halls — Using Evergreens to Decorate for the Holidays,” from 9 a.m. to noon, Saturday, Dec. 1, at the Brundrett Conservation Education Building at the Stephen F. Austin State University Pineywoods Native Plant Center, located at 2900 Raguet St.
Evergreen branches and garlands once served as symbols of enduring life and a fruitful year to come. Join Dawn Stover, research associate at SFA Gardens, to learn how to create elegant wreaths and garlands using materials from the garden. Participants will learn principles of wreath, garland and centerpiece construction and make a wreath to enjoy and take home for the holidays. In addition to the traditional wreaths and garlands, Stover will introduce new crafts using natural items from the garden and forest. All materials will be provided. Class size is limited, so please register in advance by calling (936) 468-1832 or email sfagardens@sfasu.edu. The cost is $30 for SFA Garden members and $35 for nonmembers. 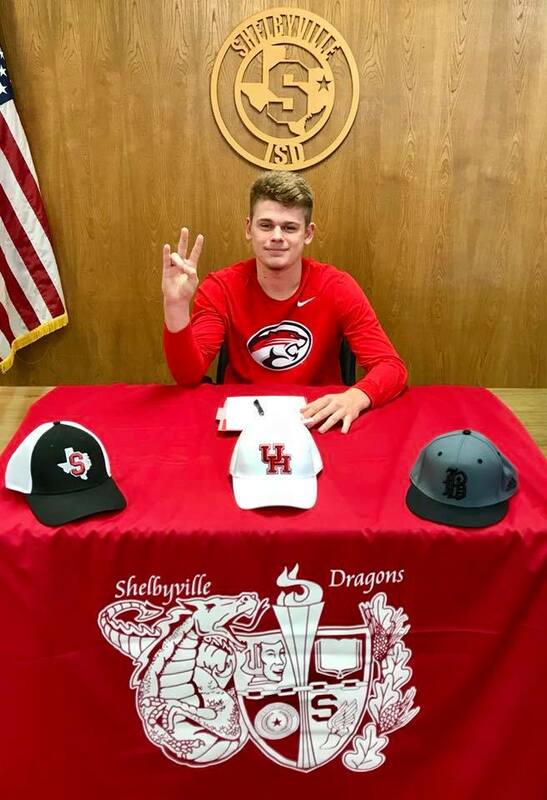 Cole Ferguson signed to play Baseball for The University of Houston this morning! Way to go Cole ... Shelbyville is proud of you!! NACOGDOCHES, Texas – Stephen F. Austin State University voice students will present a program of musical theatre and opera scenes in a performance that features the Broadway hits of Leonard Bernstein at 7:30 p.m. Thursday, Nov. 29, in Cole Concert Hall on the SFA campus. “Bernstein on Broadway … and More!” will showcase students enrolled in the Opera Workshop class taught by Dr. Deborah Dalton, associate professor of voice and director of opera. The first part of the program features the Opera Ensemble in scenes from selected Rodgers and Hammerstein musicals, including “Carousel,” “Oklahoma!” and “The Sound of Music.” Pianist Shirley Watterston will accompany. Selections from “West Side Story,” “Candide” and “On the Town” will be performed with piano accompaniment by student pianists Rachel Clark and Parker Dickenson. The balcony scene features the song “Tonight,” in which Tony searches for Maria and then climbs up the fire escape to talk to her after they met at a dance. In the “Tonight” quintet, the principals are getting ready for an exciting evening. The scene features Tony and Maria, because they planned a meeting; Anita, who has a date with her boyfriend, Bernardo; and Riff and Bernardo, who are getting worked up for a fight between the strongest boys in their respective gangs. In “A Boy Like That,” Anita finds out about Tony and confronts Maria. She makes sure Maria knows “this” kind of boy is bad news. “There are some lovely surprises to be discovered in scenes from the less well-known shows,” Dalton added. NACOGDOCHES, Texas — The Texas Forestry Association presented Dr. Kenneth Farrish, Arnold Distinguished Professor and director of Stephen F. Austin State University’s Division of Environmental Science, with the Project Learning Tree Forestry Innovation Award during the association's annual convention held in October at Moody Gardens in Galveston. “Dr. Farrish realized that graduates often lack certain skills that enable them to build successful, satisfying careers," said Misty Bowie, PLT co-coordinator. "That understanding of his student’s needs and the needs of their future employers led him to develop and continually improve his senior seminar course." Noteworthy class activities include attending the Texas Association of Environmental Professionals’ conference, professional networking and a business dining etiquette seminar. Writing résumé and cover letters, interview etiquette, presentation and interpersonal skills, and appropriate business attire also are addressed. The Texas Forestry Association, the voice for forestry for 100 years, promotes an economic, social and political climate that advances forestry in Texas through education, political action and public relations. The organization also serves the broad needs of forest landowners, producers and consumers, and seeks to enhance and perpetuate the resources of Texas forests. 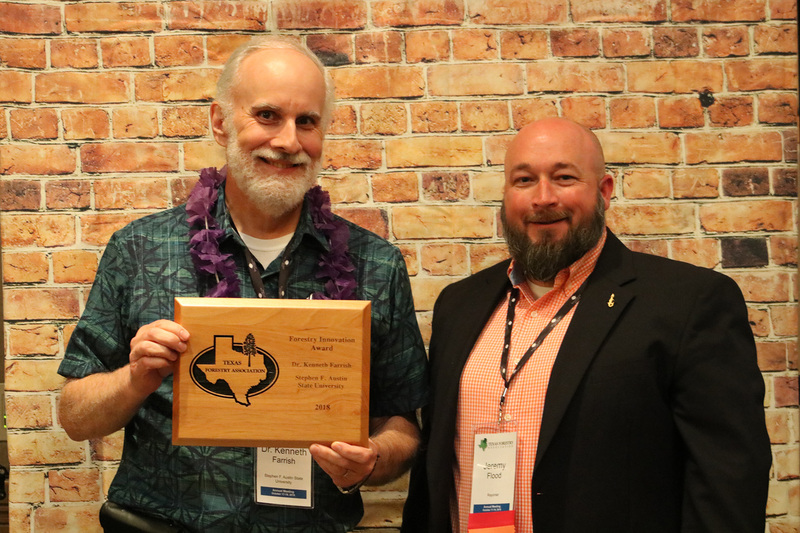 Cutline: Dr. Kenneth Farrish received the Project Learning Tree Forestry Innovation Award during the Texas Forestry Association's annual convention held in October in Galveston. The award recognizes Farrish’s efforts to develop and continually improve Stephen F. Austin State University’s Division of Environmental Science senior seminar course that enhances student competencies in the professional workplace. NACOGDOCHES, TEXAS – The Trombone Choir at Stephen F. Austin State University will perform a recital at 7:30 p.m. Tuesday, Nov. 27, in Cole Concert Hall on the SFA campus. The 32-piece Trombone Choir, under the direction of Dr. Deb Scott, professor of trombone in the SFA School of Music, and Dr. Danny Chapa, low brass instructor, will play several beautiful chorales. The program features “Hear the Voice and Prayer” by Thomas Tallis, transcribed by Robert P. Holland, and The Beatle’s “Yesterday,” arranged by Dr. A.C. “Buddy” Himes, dean of the SFA College Fine Arts. Another highlight of the program is an arrangement of “Rakoczy March” by Hector Berlioz. Scott will conduct a smaller group of 10 players performing “Concertante Antiphonale” by David Uber. The program will conclude with David Kneupper’s arrangement of “White Christmas” by Irving Berlin and “Good King Wenceslas” arranged by Tommy Pederson. 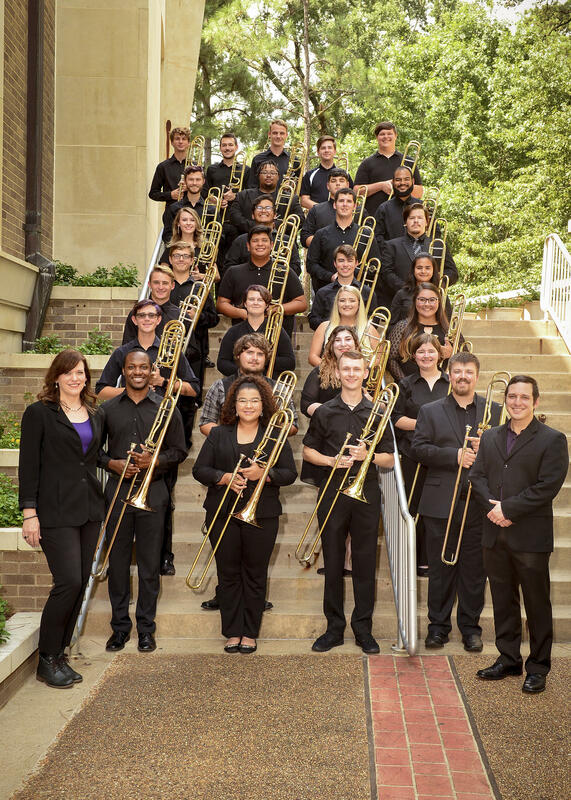 Cutline: The Trombone Choir at Stephen F. Austin State University will perform at 7:30 p.m. Tuesday, Nov. 27, in Cole Concert Hall on the SFA campus. Carthage, TX- The Fillies show strong defensive effort as they routed the Elite Crusaders at home Monday night in AJ Gym. The Fillies won 80-38 and move to 2-3 on the season. The Fillies would jump out fast in the opening minutes of the contest, and not look back. With a line up 6’0 and taller the Fillies would record six blocks in the first four minutes of play. Panola would outscore the crusaders 29-12 in the first period. The Crusaders would go on to their own run however going on a 6-0 run. After a quick regroup the Fillies would go on a run to entering the break up twenty two. The offensive effort would continue as twelve of thirteen players for the Fillies would score. Freshmen post would lead the charge as Nydier Riak(14), Ala Falkowska (12), and Kenzie Chadwick(10) would all score in double digits. Sophomore Weronika Nowakowska would also score in double digits with 12. Freshman Kellymar Ramirez would dish out a game high 6 assist. Chadwick once again led the Fillies in rebounding with team high 6. The Fillies continue their home stint next Monday at 5pm in AJ GYm against Our Lady of the Lake. The Joaquin High School Bi-District playoff football game vs. West Sabine will be held on Friday, November 16th at Nacogdoches High School with a start time of 7:30 pm. Joaquin will be the home team and admission will be $5.00 across the board. Passes honored: THSCA and District passes issued from 11 and 12 - 2A-Div 1. There will be a Pep Rally Friday, November 16th, at 11 am in the SEC! All are invited to attend! Come make some noise for the Tigers as they prepare to take on the Shelbyville Dragons! The Tenaha Tigers will take on the Shelbyville Dragons in the 2A Division 1 Bi-District round of playoffs this Friday night, November 16th at 7pm. The game will be held at Waskom High School football stadium located at 980 School Avenue, Waskom, TX 75692. The Tigers will be the Visitors. Tickets may be purchased at the gate; Adults $6.00 and Students $4.00. District, THSCA and Senior citizen passes will be accepted. Parking space is limited in the main parking lot but there is additional parking behind school. As you come in to Waskom from Hwy 9, cross I20 and a take left on School Ave, and then take the first street to the right . This should take you to visitor’s parking lot. NACOGDOCHES, Texas — In a science-fair-like atmosphere, students at Raguet Elementary School select objects from among an array of recycled materials to bring their own inventions to life during Novel Engineering, a collaborative event. In an effort to focus on science, technology, engineering and mathematics-related projects, Stephen F. Austin State University, Raguet Elementary School and Nibco, an industrial and residential manufacturing company, partnered to bring Novel Engineering to Nacogdoches. Through a combination of literature and engineering, students use “literature as the basis for engineering design challenges that help them identify problems, design realistic solutions and engage in the engineering design process while reinforcing their literacy skills,” according to novelengineering.org. From the Department of Elementary Education, Drs. Lauren Burrow, associate professor, and Mark Montgomery, assistant professor, helped facilitate the project along with Dr. Chrissy Cross, assistant professor of secondary education and educational leadership. During the summer, Burrow, Montgomery and Cross hosted professional development workshops with Raguet kindergarten through fifth grade teachers to prepare for the project. Through Novel Engineering, students in each grade level work with a selected book to read and practice problem-solving and critical-thinking skills. Then, students create an invention based on the book, which they build during the final day of the project. As part of their field experience courses, SFA students served as project mentors as the children created their projects. Burrow said the experience helped SFA students practice skills they would use in the classroom. “Engaging with the elementary students was a great way for our university students to practice their own critical-thinking and explore different teaching methods,” Burrow said. Books were selected based on student interest and reading level. A bilingual book, “Maria had a little llama/Maria Tenía Una Llamita,” by Angela Dominguez, was selected for kindergarten and first grade; “Caps for Sale,” by Esphyr Slobodkina, was used for second and third grade; and “Cloudy with a Chance of Meatballs,” by Judi and Ronald Barrett, was chosen for fourth and fifth grade. Through a Nibco grant, Raguet Elementary School was able to purchase a book for every student, as well as materials for building their inventions. SFA students served as judges for the best inventions, and prizes were awarded to the winning students. 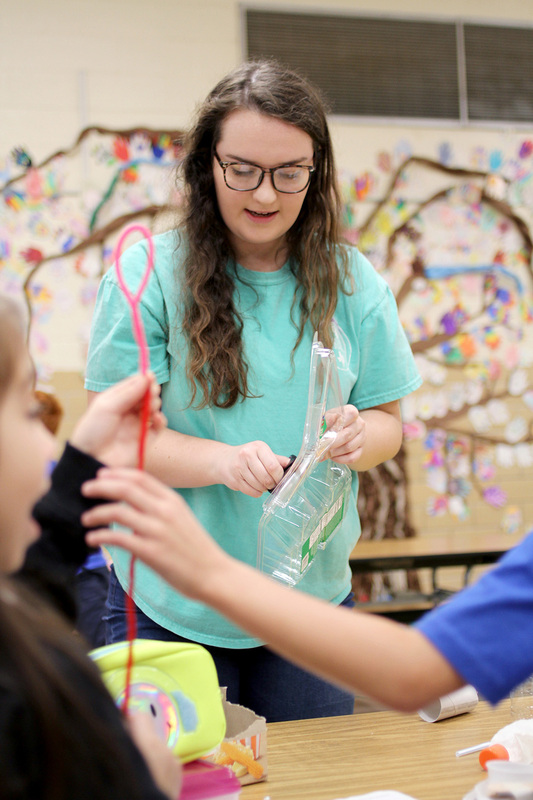 Cutline: Carolyn Bugg, an elementary education and interdisciplinary studies major at Stephen F. Austin State University, helps students at Raguet Elementary School build an invention during the Novel Engineering project. SFA, Raguet Elementary School and Nibco partnered to bring this literary and engineering project to Nacogdoches. NACOGDOCHES, Texas — As part of their annual Thanksgiving Homebound food drive, members of Stephen F. Austin State University’s Jack’s Council on Family Relations collected and donated food to 137 families, which is the most families this drive has served since it began in 2011. JCFR is a student organization focused on building networks and helping families within the community. It is part of SFA’s School of Human Sciences. 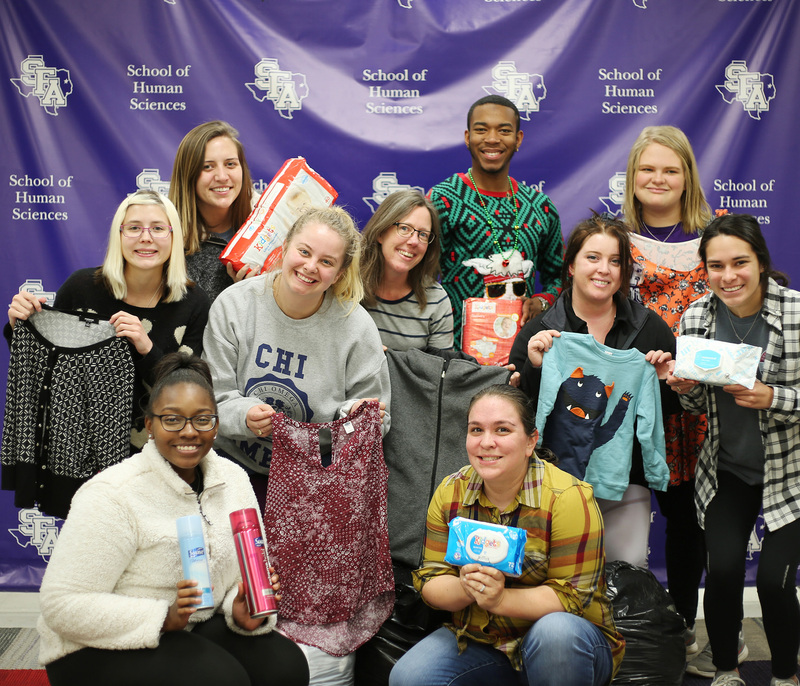 Representatives from the Greater East Texas Community Action Program Head Start, East Texas Family Crisis Center and Solid Foundation visited the SFA campus Monday to collect the donations. Each organization will distribute the food to the selected families. Members of SFA’s Interfraternity Council also assisted with loading the boxes of food. Food items were collected from university departments, clubs and organizations, and local businesses. Through this project, JCFR matches participants with families and sends participants a description of a family and a checklist of items to purchase. The checklist includes grocery items, such as potatoes, cornbread mix, vegetables and dressing. Participants also are asked to purchase a $25 gift card to help their family buy perishable items, such as meat, butter, milk and eggs. “This has given me a great outlook on the community of Nacogdoches. I’ve seen so many local organizations come together to provide meals for these families,” Lightfoot said. To learn more, visit sfasu.edu/hms/125.asp. 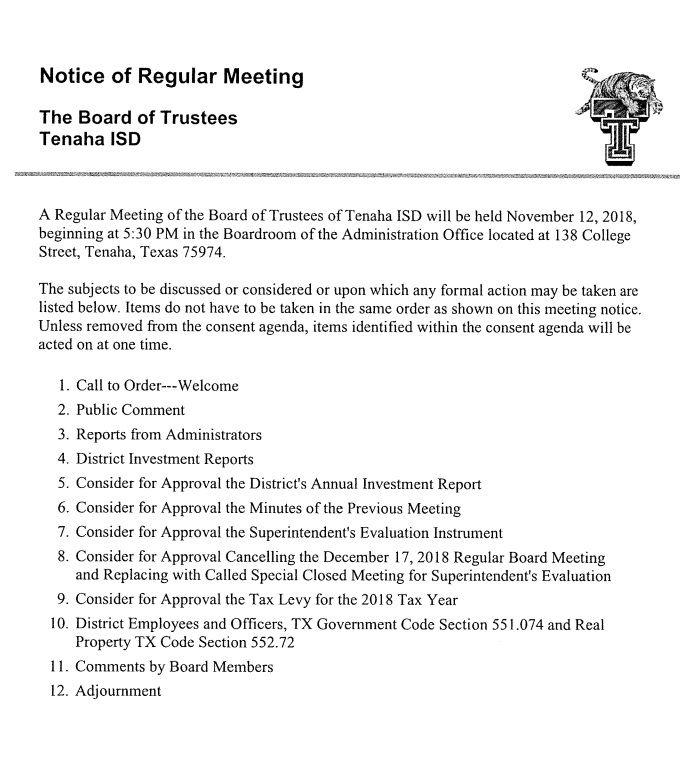 There will be a school board meeting at Center ISD on November 15th, 2018. NACOGDOCHES, Texas — Several Stephen F. Austin State University students proved to be among the best in advertising, marketing and graphic design during the annual American Advertising Federation-Houston Student Conference and Competition. This conference, which brings together the advertising, marketing and communications disciplines, challenged students with creating an advertising campaign for a real client. This year students created a campaign for Mattress Firm. Many SFA students from the Department of Mass Communication, Department of Management and Marketing, and the School of Art were on the first-, second- and third-place teams. SFA marketing students Grant Knight, Aubrey junior; and Clayton Howard, Richmond junior; mass communication students Haleigh Haupt, Kingwood senior; and Robert Breitenstein, Beaumont senior; and art student Julie McSwain, Center senior; placed first. Mass communication juniors Coby Ward, of Logansport, Louisiana; and Jade Contreras, of Red Oak; placed second. Third-place winners include Joshua Cliffe, Huffman mass communication senior; and Elyse Guerra, Austin marketing freshman. Drs. Marlene Kahla, professor in the Department of Management and Marketing; Seth Bradshaw, assistant professor in the Department of Mass Communication; and Daniel Anguiano, assistant professor in the School of Art, worked with students during the semester to prepare for the competition. On the day of the conference, student teams spent the day at Houston-based advertising agencies and were given eight hours to complete an advertising campaign, which included creative, research, marketing and media plans. Teams were then given 20 minutes to present their project to a panel of judges comprising Houston advertising professionals. “This event teaches students to effectively work with people from diverse educational backgrounds in new surroundings for a client that requests specific plans in a timely manner,” Kahla said. Some of the host agencies included Freed Agency, Skyline, Lopez Negrete, iHeartRadio, CBS, Cox Media Group and Love Advertising. During the second day of the conference, students attended résumé and portfolio review sessions with advertising, marketing and public relations professionals and a panel discussion about how to start in the industry. Cutline: Several Stephen F. Austin State University students proved to be among the best in advertising, marketing and graphic design during the annual American Advertising Federation-Houston Student Conference and Competition. Students from the Department of Mass Communication, Department of Management and Marketing, and School of Art were on the first-, second- and third-place teams. The Tigers finish the regular season 7-3 in Division 1. The Playoffs begin and with a familiar foe, Shelbyville. Contest takes place this Friday night at 7:00 PM at Waskom High School. Traditionally, to "light a candle for someone" indicates one's intention to say a prayer for another person, and the candle symbolizes that prayer. As the Holidays approach, memory bulbs that decorate a Christmas tree can serve as a great remembrance of loved ones lost. Memory bulbs are a creative and expressive gift to show your love and send your thoughts to friends and family member that have gone on before us. The TENaha TOGETHER Committee is offering to our community an alternative to lighting a candle in honor of a loved one by offering the same warmth, sentiment, and prayer with their bright glow. The lighting of the Tenaha Christmas Tree will take place on December 13th at 5 pm prior to the parade and they are offering a “Memory Bulb” for your loved one for $1.00. A list containing your loved one’s name will be read upon the lighting of the Christmas Tree on the square. For more information contact Julie Tatum at the First National Bank of Hughes Spring in Tenaha or Tenaha City Hall 936-248-3841. 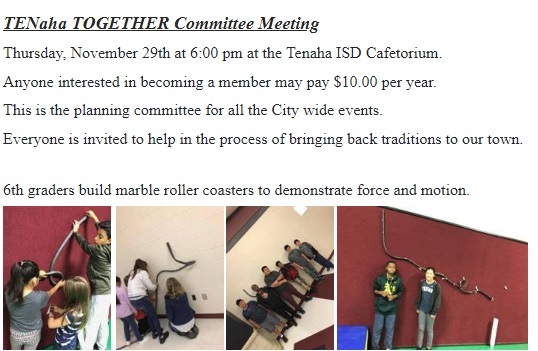 Thursday, November 29th at 6:00 pm at the Tenaha ISD Cafetorium. Anyone interested in becoming a member may pay $10.00 per year. This is the planning committee for all the City wide events. Everyone is invited to help in the process of bringing back traditions to our town. New Winter items have been added to the store! · Adult and youth sizes available. The yearbook staff has extra 2017-2018 "Eye of the Tiger" yearbooks. (This is last school year's yearbook.) If you are interested in purchasing please contact the high school office or Mrs. Tyner at tynerali@tenahaisd.com . Yearbooks have 140 full-color pages and are $40.00. They are awesome! Get yours before they are gone! The Shelbyville Jr High Basketball games vs West Sabine on Thursday, Nov. 15 have been Cancelled. Carthage, TX- The Panola Fillies began the 2018-2019 season hosting the Panola Classic at AJ gym. Panola came out with a victory over ETBU-JV. Fillies saw offensive promise as 12 different Fillies scored in the contest. Freshman Jolie Williams led the charge with 19 point while sophomore Maryia Adashychk led the team in rebounding. The Fillies would then fall to Grayson College the following evening 91-85. Panola jumped out to a 21 to 14 lead early. However the lead dwindled as she Fillies went on a scoring drought. After back and forth scoring the Fillies would enter the final period behind. After a grueling fight back the Fillies would ultimately fall to Grayson College. Williams would again lead the Fillies with 21 points. Freshman Kellymar Ramirez led the Fillies in rebounding. The Fillies traveled to Denison Texas this past weekend to participate in the Grayson College Classic. The Fillies fell to The Independence College 66-60 and Labette College 67-58. The Fillies struggled shooting the ball and keeping key players on the floor due to foul trouble. The Fillies would fall short after two half court heaves and end of game free throw shooting. After a tough loss the Fillies returned to actions against Labette College. Once again Panola would jump out to a quick lead. The Fillies saw foul trouble and poor shooing again. Freshman Kenzie Chadwick would be a spark off the bench for the Fillies. Chadwick would lead the Fillies in rebounding and spark a third quarter run. Unfortunately the team would go on a drought and only score 10 points in the final period. Labette would capitalize and charge on for the win. The Fillies return to action Tuesday November 13, 2018 in AJ Gym at 7pm . The Shelbyville Dragons will play the Tenaha Tigers in Bi-District Play-offs on Friday, Nov. 16 @ 7:00 at Waskom High School. The Dragons are the Home team. 11-2A & 12-2A District passes, THSCA passes, Military and Senior Citizen passes will be accepted. Admission is Adult $6 and Student $4 --No pre-sale tickets. CHS Girls Basketball game v Harding Jefferson (original date 11.16.18) has been rescheduled to Saturday, November 17 at Harding Jefferson at 2 p.m.
NACOGDOCHES, Texas -— Brett Payne hasn't always had a beard, but now that he's the newest face of the Lumberjack mascot, it's just another part of the job. “I was really skeptical about coming into it, but the spirit team took me in with open arms and with no beard at all,” said Payne, senior marketing major of Houston. Enlisting in the Marines after high school, his road to SFA was not a traditional one. Payne served five years stationed in San Diego as a crew chief on an MV-22 Osprey helicopter plane, loading passengers and cargo and acting as a door gunner during deployments. He deployed twice, traveling around the world but spending most of the deployment in Kuwait and Iraq. It was this time in the military that helped prepare him to take on the challenge of balancing school and the spirit program, Payne said. “It gave me the discipline I need to stay focused in my classes, as well as the confidence and drive I need to be able to put myself out there and meet people, which is how I became the mascot in the first place,” he said. Originally setting his sights on another Texas institution, Payne signed up for fall classes at SFA to stay busy while remaining close to family, but when he set foot on campus, something happened he didn’t expect. He felt at home. Part of what helped smooth his transition was Veteran’s Resource Center Coordinator John Fontenot’s commitment to making sure Payne succeeded. Because participation outside of the classroom can help veterans significantly enrich their college experience, Fontenot said, he was adamant Payne find ways to be active on campus. “Unfortunately, people have an image of veterans as disgruntled or antisocial, but John was big on me not being that way and branching out,” Payne said. Following his advice, Payne started exploring different avenues for involvement, joining fraternity Sigma Chi. On the suggestion of a friend, Payne emailed T.J. Maple, spirit program coordinator, and set up a meeting to discuss the mascot opening. “The next thing I know, I’m signing paperwork and growing my beard out,” he said. He donned the purple plaid shirt, suspenders and boots of the Lumberjack uniform for the first time at the beginning of the year and hasn’t looked back. As Lumberjack, Payne attends every home game for basketball and football, as well as women’s basketball and volleyball when the university lacks a Ladyjack mascot. He also makes appearances when requested. New to competitive cheer, Payne didn’t know what to expect when he signed on to the program. “I was the first to say cheerleading is not a sport until I joined the team, but these individuals on the cheer team at SFA are some of the most talented athletes I’ve ever been around and just all-around good people,” he said. Without a character suit to hide behind, the success of a live mascot’s performance relies solely on personality, Maple said. To do it well, Payne has to approach the experience with an open mind and steeled nerves. While being a live mascot means a little more work for Payne, part of the appeal is spending a couple of hours being someone else. When Payne signed on, Maple hadn’t intended to use him at the national competition because of his lack of experience, but his work ethic quickly changed his mind. “Even though he wasn’t competing on the mat with the cheerleaders doing the skills, he was still there at every single practice to motivate, cheer on and make sure he was being a part of that team,” Maple said. Payne traveled to Daytona for the 2018 NCA and NDA Collegiate Cheer and Dance Championship and was immersed in a world of intense competition. The spirit program has won numerous awards at nationals and placed in several categories in Division I at this year’s competition. Since most of his time as Lumberjack is spent supporting SFA at sporting events, nationals gave him a chance to represent the university in a whole new way, he said. Being the Lumberjack is a team effort, Payne said, and he has a team of his own cheering him on as he takes on the challenge, from Fontenot in the VRC to Maple and the spirit office. “All of those people are the reason I’m here right now,” he said. When his career as the mascot comes to an end, Payne isn’t positive what he’ll do next, but whatever it is, he knows it will be something he is just as passionate about. “I made a promise to myself when I got out of the military that whatever I do, I just want to do something I love,” he said. As for the beard, Payne has no plans to shave anytime soon. Cutline: Brett Payne, senior marketing major of Houston and former Marine, serves as Stephen F. Austin State University’s newest Lumberjack mascot. Notice is hereby given that on the 12th day of November, 2018 the Board of Trustees of the Joaquin School District will hold a regular meeting at 6:00 p.m., at the Administration building, Joaquin, Texas. The Joaquin Ram High School football game scheduled for tomorrow night (Friday, November 9th) against Harleton has been moved to be played at Arp High School with a start time of 7:30 pm. *Senior Night recognition ceremony will held at Arp High School beginning at 7:00 p.m. prior to start of the football game. Tonight the Junior High and JV host the Linden-Kildare Tigers. Kickoff for the first game at 5:00 pm. Friday night the varsity will travel to Linden-Kildare for the final district game of the season. Kickoff is set for 7:30pm. Then the playoff run begins!!!!! Good luck to our Tigers!!!!! 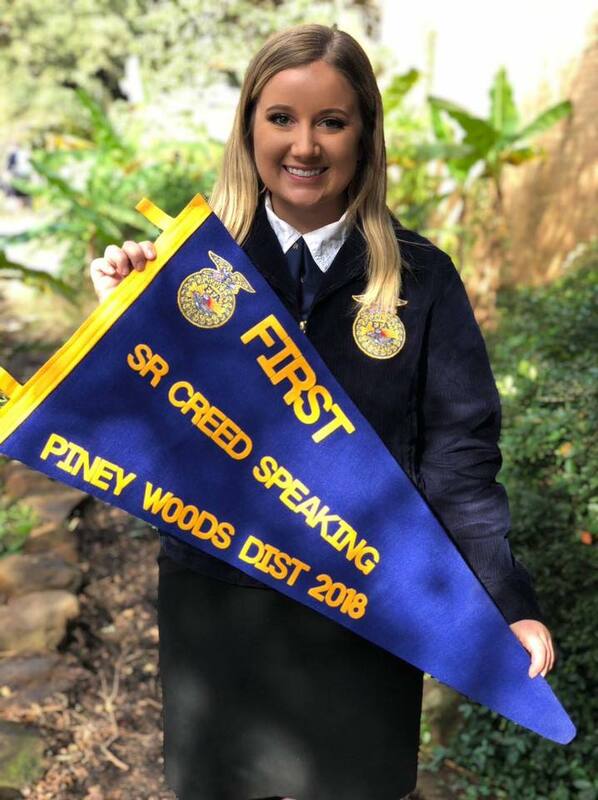 Monday, November 5th marked the annual Piney Woods District FFA Leadership Development Events (LDE) Contest. These contest highlight some of the very best skills of each FFA chapter in the district. FFA members and schools compete head to head in competitions that require a vast knowledge of the FFA and agricultural related public speaking skills. The Joaquin FFA was proudly represented in this years District event. We are very proud of the effort that our kids have put in this summer and fall. It has taken many hours of preparation and hard work to earn some spots on the board this year. We are looking forward to great remainder of the school year. Area LDE competition will take placed November 15th at Stephen F. Austin University. All local veterans are invited to attend the annual Tenaha ISD Veterans Day program set to take place Monday, November 12th at 9:30 am in the Cafetorium. Kindergarten, 3rd grade, 2nd grade, Band, individual high school students and BETA will present performances to honor all veterans. Parents and the community are invited to attend this event to honor all local veterans. A regular meeting of the Board of Trustees of the Shelbyville Independent School District will be held on Monday, November 12, 2018, beginning at 6 p.m. in the Board Room of the Shelbyville Independent School District at 343 FM 417 West, Shelbyville, Texas. The subjects to be discussed or considered or upon which any formal action may be taken are listed below. Items do not have to be taken in the same order as shown on this meeting notice. Unless removed from the consent agenda, items identified within the consent agenda will be acted on at one time. NACOGDOCHES, Texas — Two areas on the Stephen F. Austin State University campus were named in honor of alumni during the recent Board of Regents meeting. The university’s new ROTC obstacle course was named in honor of alumnus 1st Lt. Kile G. West, who graduated from SFA in 2005. West attended the field artillery officer basic course and was assigned to the 1st Calvary Division at Fort Hood, Texas. Richardson graduated SFA in 1983 with a Bachelor of Business Administration. She was a member of the Ladyjack tennis team in 1979; played intramural sports from 1979-83; was a member and officer of Gamma Sigma Sigma; was a resident assistant for Gibbs Hall and Steen Hall from 1981-83; and was the Ladyjack mascot during the 1982-83 basketball season. Her industry experience includes more than 34 years in financial services. Richardson serves her community on the board of Communities in Schools of the Dallas region; received the 2013 GFI Global Citizen Award; was a recipient of the International Group Management and Excellence and Diversity Champion Awards; chaired the IG Diversity Council from 2007-09; and was a past chair of the GFI Community Support Campaign. Veterans Day is an annual holiday in America honoring the millions of military veterans in the United States. There are approximately 22 million veterans living in the United States today. At Tenaha ISD we believe Veterans Day is important because of the precious freedoms that we take for granted every day. Saying "Thank You" to a person in the military is a very small price for our glorious freedom. Tenaha Schools invites all veterans and military personnel from all branches of the military to join us for our Veterans Day Program on Monday, November 12th, at 9:30 a.m. in the school cafeteria. Our program will include performances by Kindergarten-Third Grade, members of the award winning Tenaha Roarin’ Band from Tigerland and the VFW. Military family members and community members are also invited to join our administration, faculty and students as we say “Thank You” to these men and women who served our country. Refreshments will be served after the program. For more information contact Brenda Farmer at farmerbrenda@tenahaisd.com or 936-248-5000 ext. 503. The Stephen F. Austin State University Photo Club will host its first juried show of student work, the Pineywoods Photography Exhibition, Nov. 14 through Dec. 12 in Griffith Gallery on the SFA campus. For more information, follow the club on Instagram at @sfasuphotoclub or email sfaphotoclub@gmail.com. The Wind Symphony and the Symphonic Band at Stephen F. Austin State University will celebrate Christmas traditions both at home and abroad when the bands perform at 7:30 p.m. Wednesday, Nov. 14, in W.M. Turner Auditorium on the SFA campus. The Trombone Choir at Stephen F. Austin State University will perform a recital at 7:30 p.m. Tuesday, Nov. 27, in Cole Concert Hall on the SFA campus. Stephen F. Austin State University voice students will present a program of musical theatre and opera scenes in a performance that features the Broadway hits of Leonard Bernstein at 7:30 p.m. Thursday, Nov. 29, in Cole Concert Hall on the SFA campus. More than 40 high school and community college business teachers from around the state recently attended a conference at Stephen F. Austin State University for the annual Texas Business and Technology Teachers Association. SFA’s Department of Business Communication and Legal Studies, housed within the Rusche College of Business, hosted the conference. This year’s conference focus was “On the Beam: Finding a Balance Between Humanity and Technology” and included various speakers who discussed topics such as online and face-to-face courses and online educator technology. 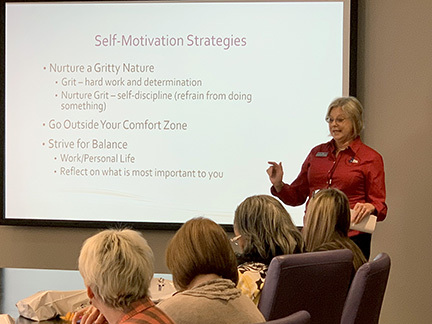 Dorothy Hetmer-Hinds, pictured, from Trinity Valley Community College discussed motivation and how to become effective educators in today’s digital age. SFA business students enrolled in a leadership communication course assisted with the conference arrangements and delivery. 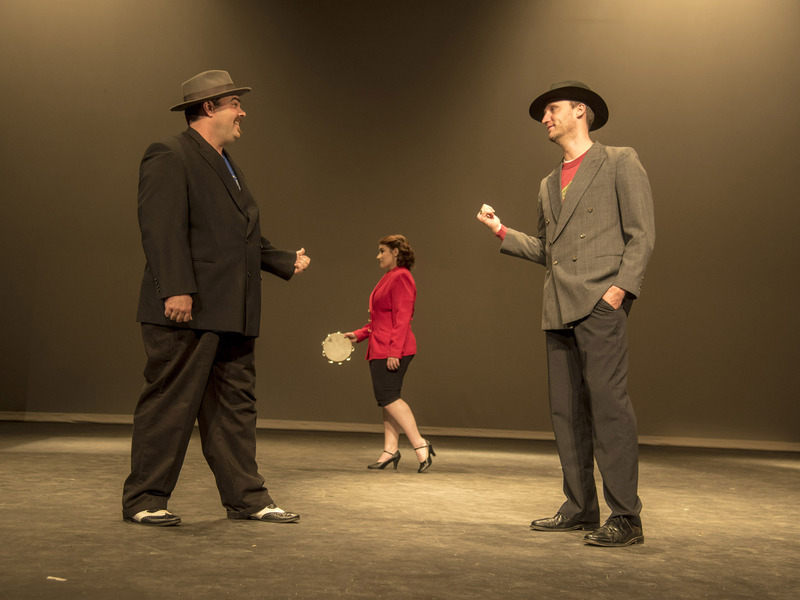 Angelina College Presents "Guys and Dolls"
LUFKIN, TEXAS, NOV. 5, 2018 – Angelina College will present the classic musical fable of Broadway, “Guys and Dolls” Nov. 15, 16, and 17. All shows are at 6:30 p.m. in Temple Theater in the Angelina Center for the Arts on the Angelina College campus. Tickets are $6 for adults and $5 for seniors, students and children. AC students are admitted at no cost when they present their college ID card. “Guys and Dolls” contains such favorite songs as “I’ll Know,” “If I Were a Bell,” “Luck Be a Lady” and “Sit Down, You’re Rockin’ the Boat” and brings to life characters such as Nathan Detroit, Sky Masterson, Miss Adelaide and Sarah Brown. Director Andrew Reed partnered with the Angelina Community Theatre. “It takes a lot of people to put on a show like ‘Guys and Dolls’ and we appreciate the support of the Angelina Community Theatre,” Reed said. Members of the cast from Lufkin are Sarah Jackson as Ferguson/Havana Dancer, Kim Noble as Vernon/Havana Dancer, Scotty Nunn as Benny Southstreet/Havana Dancer, Joshua Robinson as Rusty Charlie/Havana Dancer, Cody Carter as Harry the Horse/Havana Dancer, Ben Reynolds as Nathan Detriot, Eryn Forrest as Angie the Ox/Havana Dancer, Patty Donaldson as The Greek, Ashleigh Bentley as Brandy Bottle Bates/Havana Dancer, Caitlyn Hutson as Scranton Slim/Havana Dancer, Julianna Ferro as Society Max, Nicholos Trusclair as Liver Lips Louie/Joey Biltmore/Fancy Dancer, Britney Day as Mimi/Fancy Dancer, Jessica Reynolds as Agatha, Retha Powers as Lt. Brannigan, and Abby Adams as Waiter/Bartender. Other cast members include Jordan Dietz of Riviera as Sky Masterson, Don Glenn of Livingston as Big Jule, Cynthia Moore of Livingston as Martha, Cassidy Kelly of Waller as Miss Adelaide, David Young of Mt. Vernon, Washington as Nicely-Nicely Johnson, Hannah Young of Athens as Sarah Brown, Joe Jones of Lubbock as Calvin/Master of Ceremonies, Sharon Buffalo of Nacogdoches as Allison/Havana Dancer, Samantha Johnson of Diboll as General Cartwright and Garland Buffalo of Nacogdoches as Arvide Abernathy. Orchestra members are Ana Watts, violin and flute; Amanda Burns, cello and alto saxophone; Lori Letney, flute; Jo Tucker, clarinet; David McArthur, alto/ tenor saxophone and clarinet; Steven Brown, trumpet; Stacy Perkins, trumpet; LaVan Watts, trombone; Tom Corbitt, percussion; and Beckie Compton, piano. The crew includes Andrew Reed, director; Beckie Compton, music director; Meredith Taylor, production manager/set designer/sound engineer; Alyssa Moss, stage manager; Taz Powers, light designer; Darbi Powers, costume designer; Retha Powers, costume designer; Tyler Arnold, properties master. The running crew consists of Audrey Gandy of Nacogdoches, Riley Elledge of Huntington, Noah Ashby of Katy, Lindsey Dobbins of Colmesneil, and Christa Bowman, Alexis Reynolds and Blaze Steptoe, all of Lufkin. For more information about this event, call the Angelina Center for the Arts Box Office at (936) 633-5454. NACOGDOCHES, Texas — Stephen F. Austin State University’s SFA Gardens will host the monthly Theresa and Les Reeves Lecture Series at 7 p.m. Thursday, Nov. 8, in the Brundrett Conservation Education Building at the Pineywoods Native Plant Center, located at 2900 Raguet St.
Creech has been at SFA since September 1978. He received his bachelor’s degree in horticulture from Texas A&M University in 1970, a master’s degree in horticulture from Colorado State University in 1972, and returned to TAMU to receive his doctoral degree in 1978. After a long career in teaching, Creech retired in 2007. He returned to direct SFA Gardens in a part-time position. Creech’s research interests include fruit and vegetable, ornamental evaluation, endangered plants, salinity studies, woody tree and shrub evaluation, and investigating the potential of kiwifruit as a specialty crop for Texas. He also has authored numerous scholarly and trade articles and lectures widely. Since 1981, Creech has accumulated a long list of international work in Pakistan, Guatemala, Mexico, Nepal, Israel and China. In the last 21 years, he has undertaken over 25 consultancies in China, working with the Blueberry Improvement Program and Taxodium Improvement Program at the Nanjing Botanical Garden, as well as connecting with the new plants arena in the China nursery and landscape industry. He is an advocate of increasing forest cover and smart use of land and plant resources. Creech has held positions within many organizations, including as president of the Native Plant Society of Texas and president of the Southern Region American Society of Horticulture Science. He is the current president of the Texas Association of Botanical Gardens and Arboreta and of the International Plant Propagation Society Southern Region. Cutline: Dr. David Creech, SFA Gardens director and professor emeritus of agriculture, will be guest speaker for Stephen F. Austin State University SFA Gardens’ monthly Theresa and Les Reeves Lecture Series, slated for 7 p.m. Thursday, Nov. 8, in the Brundrett Conservation Education Building at the Pineywoods Native Plant Center. Creech is pictured in the Yellow Mountains of Eastern China in the southern part of the Anhui Province. The Timpson Lady Bears Volleyball team is headed to the Class 2A Region 3 Tournament after defeating North Hopkins, by winning 3 of 4 sets in the Region Quarterfinals last night in Mabank. Timpson will play Leon or Cayuga at 4 p.m. Friday in the region semi-final round at Lobo Coliseum in Longview. 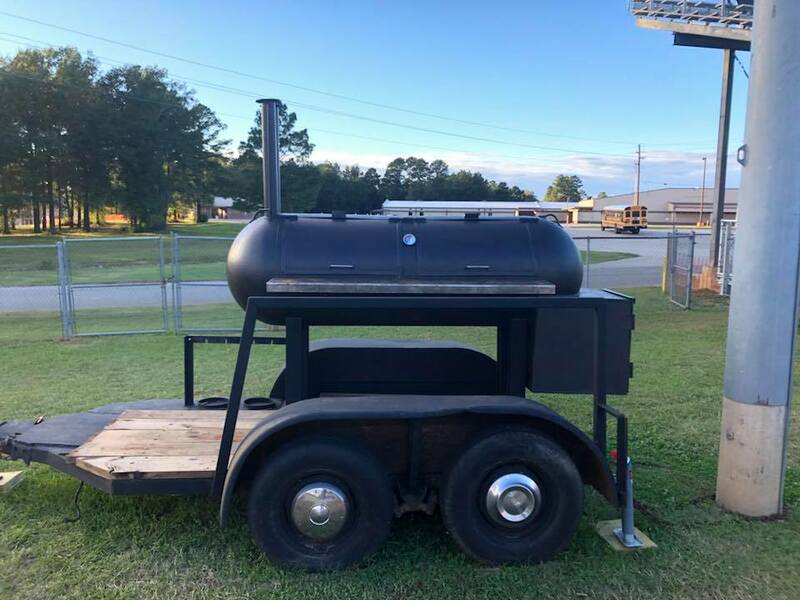 Don’t forget to purchase tickets for a chance to win a BBQ pit. We have it on display at the stadium. They are $5.00 each. You can purchase tickets from a band student or at the concession stand. We will have the drawing at our last home game (Nov. 9th) after half time. All proceeds help support the band at all events and our Disney trip. Tenaha Youth Center -5th Quarter after home games; 7-12th grades. "Local Businesses Support the Tenaha Tiger Yearbook"
"If you are interested in purchasing a full color yearbook ad for your business, please contact Mrs. Ali Tyner at tynerali@tenahaisd.com." Bear Band at State Band Contest – Performance Tomorrow @ the Alamodome! Go Bear Band!! Bears vs. Beckville - Thursday Jr Hi/JV – There @ 5:00 p.m.—Go Bears! Varsity Bears vs. Beckville - Friday – Here @ 7:30 p.m. – Go Bears! Counselor’s Corner - **Reminder** Timpson High School will host a FAFSA and Financial Aid information session for all seniors and parents on Monday, November 12th at 5:30 p.m. This will be held in conjunction with TISD STEM night. 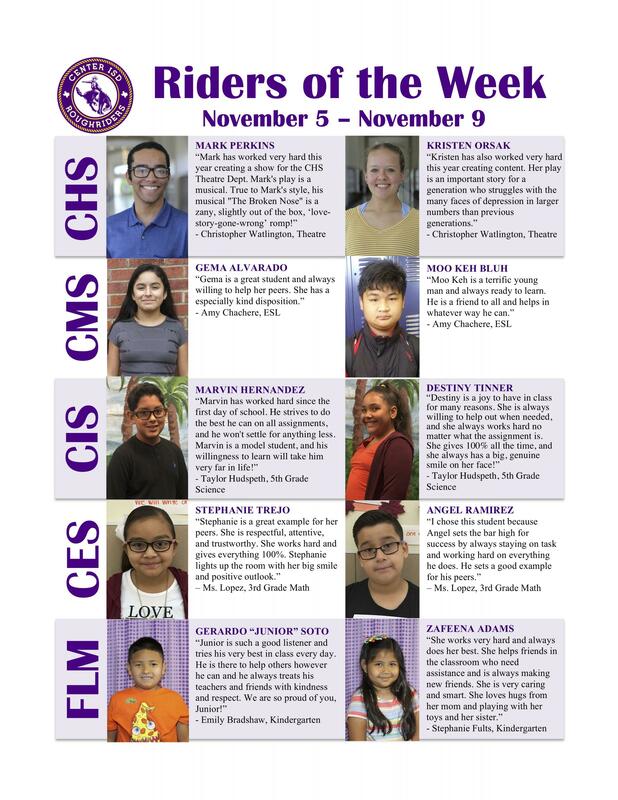 Please drop off attached form to any CISD campus front office by noon on November 8. Pick up Wednesday, November 14 after 3 p.m.
NACOGDOCHES, Texas – The Wind Symphony and the Symphonic Band at Stephen F. Austin State University will celebrate Christmas traditions from both at home and abroad when the bands perform at 7:30 p.m. Wednesday, Nov. 14, in W.M. Turner Auditorium on the SFA campus. “The work was written as a token of friendship to America’s early 20th century allies, and it was so well received at its premiere that the audience called for two encores,” Kaatz said. Graduate student Gary Jones will conduct the second work, “The Sussex Mummers’ Christmas Carol,” which was written by Australian-American composer Percy Grainger. An avid collector of British folk music, Grainger originally set this traditional British carol for piano in 1905 and began sketches of an arrangement for band that remained unfinished upon his death, Kaatz explained. Famed 20th century bandleader Richard Franko Goldman completed Grainger’s band arrangement for a performance by the renowned Goldman Band in 1965. The Symphonic Band will close its portion of the concert with Ron Nelson’s “Courtly Airs and Dances.” This composition is a setting of five Renaissance dances from five different European countries, according to Kaatz. Directed by Dr. Tamey Anglley, associate director of bands at SFA, the Wind Symphony will open the second half of the concert with “Festive Overture” by Dmitri Shostakovich and transcribed for band by Donald Hunsberger. Shostakovich wrote “Festive Overture” in 1954 on a commission for the Bolshoi Theatre’s celebration of the 37th anniversary of the October Revolution (in 1917). Shostakovich completed the piece in less than a week, Anglley said. The Wind Symphony will also perform “Russian Christmas Music” by Alfred Reed. Originally written in November 1944, the piece was first performed in December of that year at a special concert in Denver, Colorado, by a select group of musicians from five of the leading service bands stationed in that area, according to Anglley. “An ancient Russian Christmas carol – “Carol of the Little Russian Children” – together with a good deal of original material and some motivic elements derived from the liturgical music of the Eastern Orthodox Church, forms the basis for this musical impression of Old Russia during the jubilant Christmas season,” Anglley said. Wind Symphony will conclude the concert with Leroy Anderson’s famous Christmas tune, “Sleigh Ride.” In 2010, the American Society of Composers, Authors and Publishers named “Sleigh Ride” the most popular piece of Christmas music in the USA based on performance data from 2,500 radio stations nationwide. Composed in 1948 and with lyrics by Mitchell Parish added in 1950, there is no mention of any specific holiday. Leroy Anderson had intended it to be a musical vignette of an old-fashioned winter’s day, Anglley explained. NACOGDOCHES, Texas — Future college students will have the opportunity to experience a taste of campus life during a free, action-packed open house Saturday, Nov. 10, at Stephen F. Austin State University in Nacogdoches. Prospective students can visit with university faculty and staff, tour the campus and residence halls, and preview academic programs during the SFA Showcase Saturday event. SFA is a comprehensive, residential university located in the heart of Texas Forest Country. Approximately 13,100 students attend SFA, which is within a few hours’ drive of Texas' major metropolitan areas. Showcase Saturday event check-in will begin at 11 a.m. on the first floor of the Baker Pattillo Student Center. The opening programs begin at 1 p.m. and will provide an overview of the day's events. Guests will then be able to visit with representatives from academic departments until 4 p.m. during the Academic Fair in the Student Recreation Center. A Student Services Fair will be held from 2:30 to 4:30 p.m. on the first floor of the student center. Campus and residence hall tours will begin at 1:30 p.m. and continue until 5 p.m. Campus tours will take students on a guided walk of the SFA campus while the self-guided residence hall tours will showcase several halls on both the north and south ends of campus. Admissions counselors will be available to discuss admission procedures and requirements from 1:30 to 5 p.m. in the Rusk Building, Room 206, and during several freshman and transfer admissions sessions held throughout the day. Several informational breakout sessions will take place simultaneously at 2, 3, and 4 p.m., including Residence Life sessions, financial aid sessions and freshman admissions sessions. Additional breakout sessions will take place on transfer admissions, orientation and VA/Hazlewood Act benefits. In addition to receiving a high-energy Lumberjack experience, participating prospective students will receive a free SFA T-shirt after completing an evaluation form. For more information about SFA's Showcase Saturday, contact the SFA Office of Admissions at (936) 468-2504, or email admissions@sfasu.edu. NACOGDOCHES, Texas — “Yes, We Deliver,” a play written by Dr. Ken Untiedt, Stephen F. Austin State University professor of English, will premiere in November at the Lamp-Lite Theatre. The play tells the story of a wealthy young man who doesn’t want to be part of his family’s “shady business.” Instead, he becomes a pizza deliverer and encounters a variety of different people while trying to figure out his place in life. Untiedt relied on his personal experience as a pizza deliverer to write the characters and script. “I met a lot of different people during that job, and many of them are represented in the play,” Untiedt said. “Yes, We Deliver” is Untiedt’s first play. He had the idea for years and would jot down snippets of scenes on paper when an idea struck him. Over the 2017 Christmas break, he finally decided to sit down and tie the scenes into a cohesive story. The process was a new one for Untiedt. Part of Untiedt’s process was imagining how an audience would react to certain lines or characters. He thought through each detail to make sure it would draw out the reaction he wanted. Untiedt has been involved with the Lamp-Lite Theatre for many years. He has portrayed roles in a variety of plays at the theater and currently serves as a vice president on the Board of Directors. “The Lamp-Lite is a phenomenal theater. It’s all volunteer, but they create amazing productions,” Untiedt said. Though he was nervous about handing off his work, Untiedt delivered a copy to Sarah McMullan, founder and managing/artistic director of the Lamp-Lite Theatre. “Sarah is a trusted friend, and I was so thrilled when she told me Lamp-Lite had to do my play,” he said. Untiedt has chosen to be hands-off for the production aside from playing one minor role. It is yet another challenge he is facing in the world of playwriting. 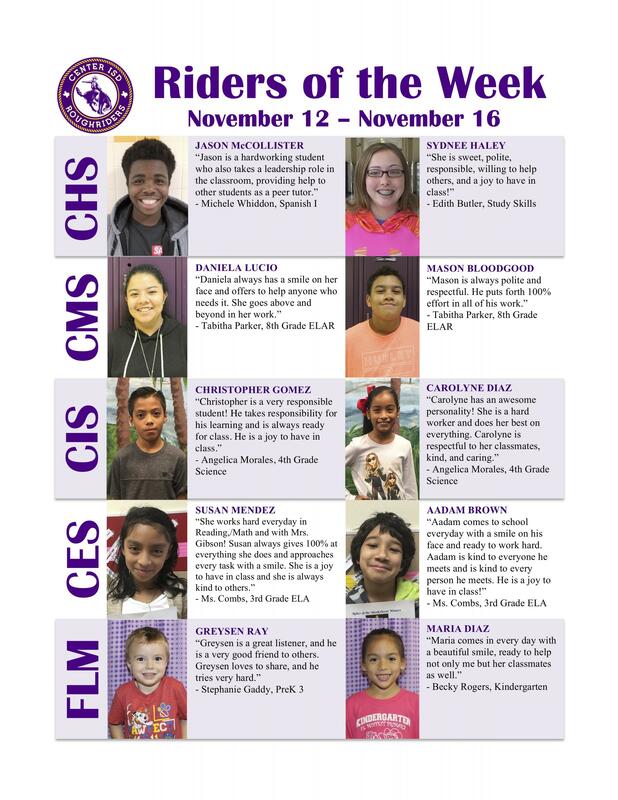 The play will show at 7:30 p.m. Nov. 9 and 10 and 2 p.m. Nov. 11. Tickets are $15 for adults, $12 for seniors and $8 for students with a valid ID. The Lamp-Lite Theatre is located at Loop 224 and Old Tyler Road. For more information, contact the theater at lamplitetheatre@yandex.com or (936) 564-8300. The Shelbyville FFA will be selling fruit from November 2-November 14. If you are interested in purchasing something and supporting our FFA, please talk with an Ag student and check out the brochure. What: Information will be covered regarding both Middle School and High School Basketball programs. Timpson Lady Bears Volleyball defeats Rivercrest for the area championship Thursday night in Union Grove to advance to the regional quarterfinals next week against North Hopkins. More details as they become available. NACOGDOCHES, Texas – The Wind Ensemble at Stephen F. Austin State University will present the program “Legacies” in a concert at 7:30 p.m. Tuesday, Nov. 13, in W.M. Turner Auditorium on the SFA campus. “Chance was a native Texan whose legacy was cut short by his untimely death in 1972, but he left the band world richer because of his compositions,” Campo said. “Blue Lake Overture” was the first commission by Blue Lake Fine Arts Camp in 1970, and the Western Michigan University Wind Ensemble premiered the work in early 1971. American composer Anthony Iannaccone’s work “After a Gentle Rain” is also on the program. In the opening woodwind statements, the audience will hear the influence of Iannaccone’s teacher, Aaron Copland, Campo said. “Iannaccone’s legacy includes a Ravel Prize, C.F. Peters Prize and an Ostwald Award for ‘Sea Drift,’” Campo added. Closing the concert will be Samuel Barber’s “Commando March,” which was written in 1943 and was his first work for wind band and his first work subsequent to entering the U.S. Army. NACOGDOCHES, Texas – The Percussion Ensemble at Stephen F. Austin State University will perform the music of Andrew Beall, Nick Werth, Amadeo Roldán and other favorites in a concert at 1 p.m. Saturday, Nov. 10, in Cole Concert Hall on the SFA campus. Directed by Dr. Brad Meyer, director of percussion studies at SFA, the Percussion Ensemble will also perform works by Eric Sammut, Austen White, Eckhard Kopetzki and Bill Alves. According to the program notes, Beall’s “Rancho Jubilee” came from the name of a Dominican restaurant near the composer’s home in Washington Heights. In hip-hop culture, “Boom Bap” refers to a onomatopoeia for the prominent percussive sounds in the style-kick (“boom”) and snare (“bap”). From the golden era of the ’80s and ’90s to modern trap music, this groove-based drum sextet pays homage to the evolution of hip-hop, according to “Boom Bap” composer Werth. Roldán’s “Ritmica No. 5” is based on the Cuban son (pronounced “sewn”) with a montuno section. This is evident in the overall form, instrumentation and rhythmic complexity of the work. The Cuban son originated as a rural song and dance style, and it was performed in a duple meter at a moderate to rapid tempo. The tempo marking for “Ritmica No. 5” is in the tempo of a son, and all the instruments except for the timpani are traditional Cuban instruments, Meyer explained. Don’t forget Area Volleyball Playoff Game at Union Grove – Thursday @ 6:30 p.m….Good Luck Lady Bears!! State XC News – Amiyah Soto will be representing Timpson ISD at the State Cross Country meet on Saturday, November 3rd in Roundrock! Good Luck Amiyah!! NACOGDOCHES, Texas — The Stephen F. Austin State University Office of Multicultural Affairs will host its second Brave Space Series of the fall semester at 4 p.m. Thursday, Nov. 15, in the Baker Pattillo Student Center Multimedia Room. The series will feature a discussion on the identity of mixed-race and multiracial individuals. "This Brave Space Series will discuss topics regarding mixed-race and multiracial identity," Veronica Beavers, director of OMA, said. "This discussion will allow participants to gain insight about the thoughts and struggles a mixed or multiracial person might go through." Each month, OMA's Brave Space Series provides a forum for open and honest discussion concerning difficult topics. “Our goal is to have SFA students, faculty and staff come together to discuss intercultural and interfaith issues and concerns that affect our global, local and campus communities,” Beavers said. The discussion is free and open to the SFA and Nacogdoches communities. For more information, visit http://www.sfasu.edu/multicultural/480.asp. 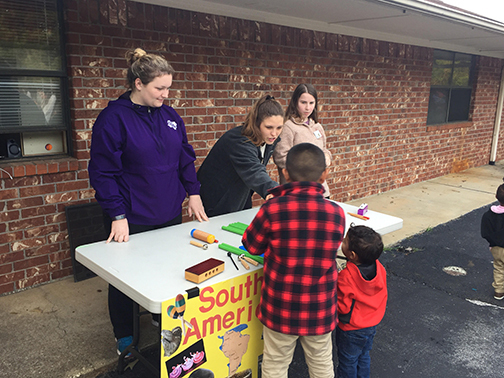 NACOGDOCHES, Texas — Situated by the South America music table, Stephen F. Austin State University student Emma Blinn watches as children explore diverse cultures through playing with different musical instruments. Blinn, along with several other SFA students enrolled in human development and family studies courses, and members of the Jacks Council on Family Relations, recently volunteered to participate in the Family Fun Night event at the Greater East Texas Community Action Program Head Start. During the event, all seven continents were represented to give students the opportunity to explore different cultures. Each station had interactive and educational activities for participants. Dr. Flora Farago, assistant professor in SFA’s human development and family studies program, explained how this collaborative event provides SFA students with the opportunity to engage with and learn from community members and leaders from diverse cultural backgrounds. Farago said it also provides students with a way to support local agencies serving children and families. “These experiences are mutually beneficial to our students, community members and agencies serving the Nacogdoches community,” Farago said. NACOGDOCHES, Texas — The Stone Fort Museum, located of the campus of Stephen F. Austin State University, will host the second annual Deal Me In: Night at the Stone Fort Saloon from 6 to 9 p.m. Saturday, Nov. 10, with an evening of card games, bar room food, music and prizes. Participants start the night with a pocket full of Republic of Texas replica bills. They can play a round or more of Texas Hold ’em, while eating sausage, drinking root beer and listening to live music. The SFA Young Violinists will perform early in the evening, followed by local band El Camino Real de Nacogdoches. The SFA Young Violinists, featuring SFA students under the instruction of Brenda Josephsen, have played at venues across East Texas, including the Nacogdoches Farmers’ Market, Lamp-Lite Theatre and the Pineywoods Herb Farm. In addition to private lessons, the students meet weekly to learn to play together as an ensemble. With accompanist Kaden Harman, The SFA Young Violinists will set the mood with saloon-style music. The event also will include a shooting gallery using rubber band pistols, a game of horseshoe, cards for Go Fish at a kids-only table and a photo booth. Each game will reward the winner with tokens that can be exchanged for prizes at the end of the night. Door prizes also will be given away. The event is free and open to the public. For more information, call (936) 468-2408 or email stonefort@sfasu.edu.